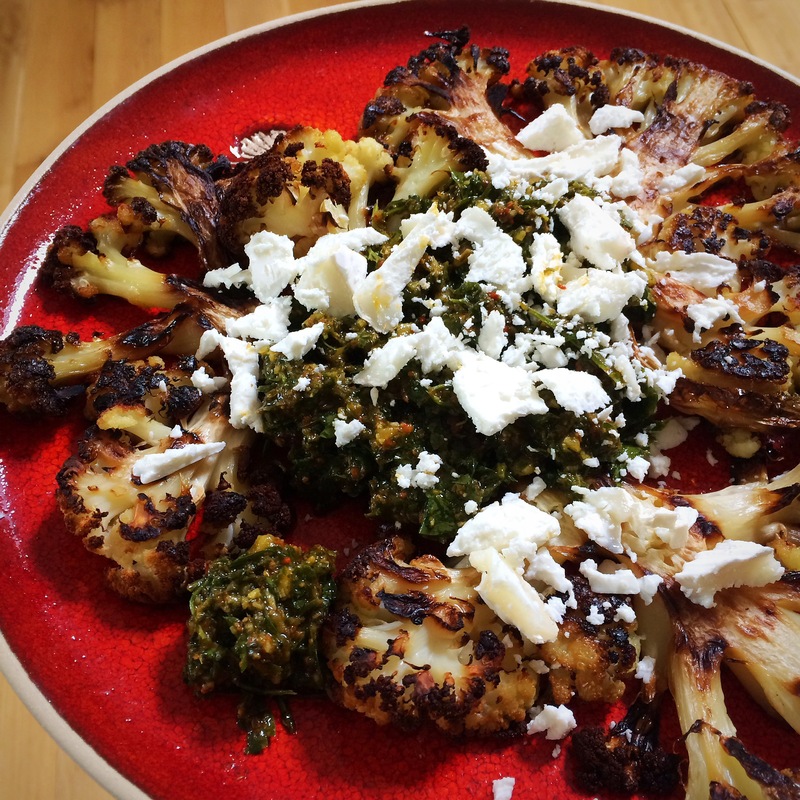 Whenever I roast cauliflower, I always roast the whole thing so that I have leftovers; this way whatever is left is easy to reheat for the next day’s lunch. 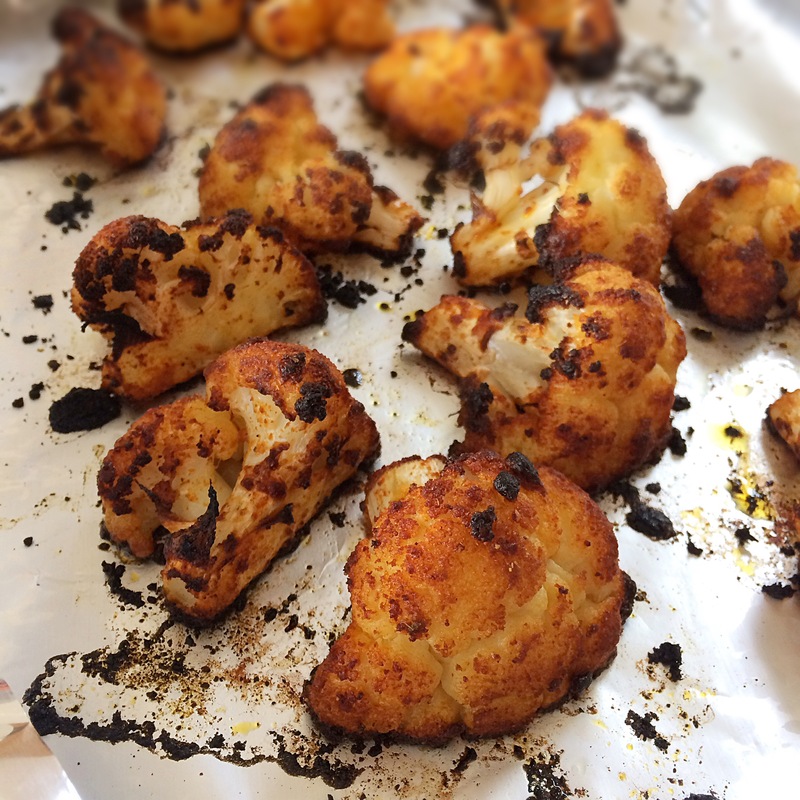 Once it’s already been roasted, reheating the cauliflower in an oven takes no time at all and it gets really nice and crunchy really quickly. 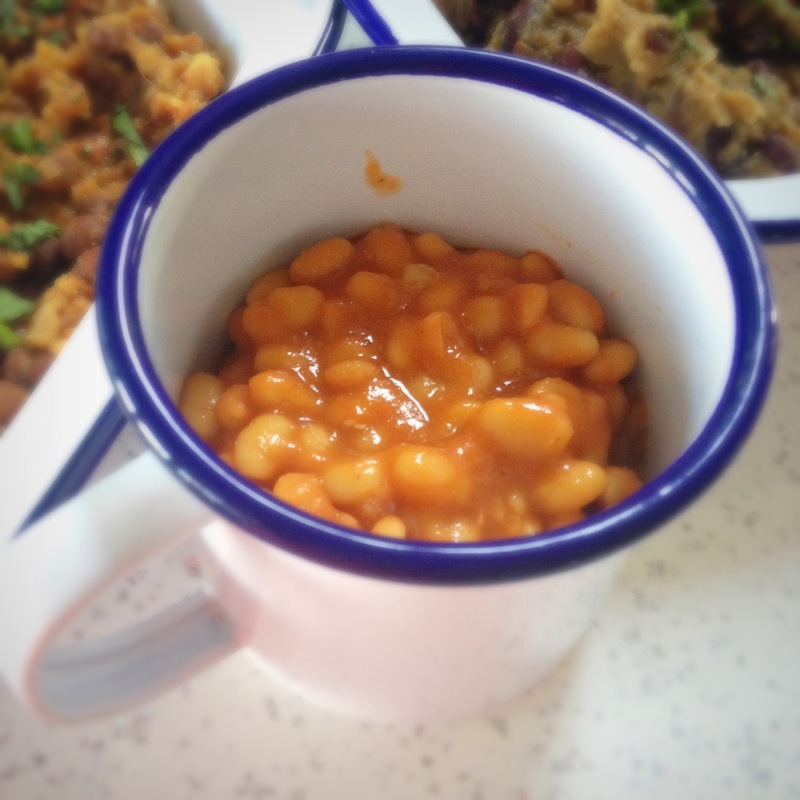 You can eat it cold, or heat it in a microwave, but you won’t then get that lovely crunchiness. 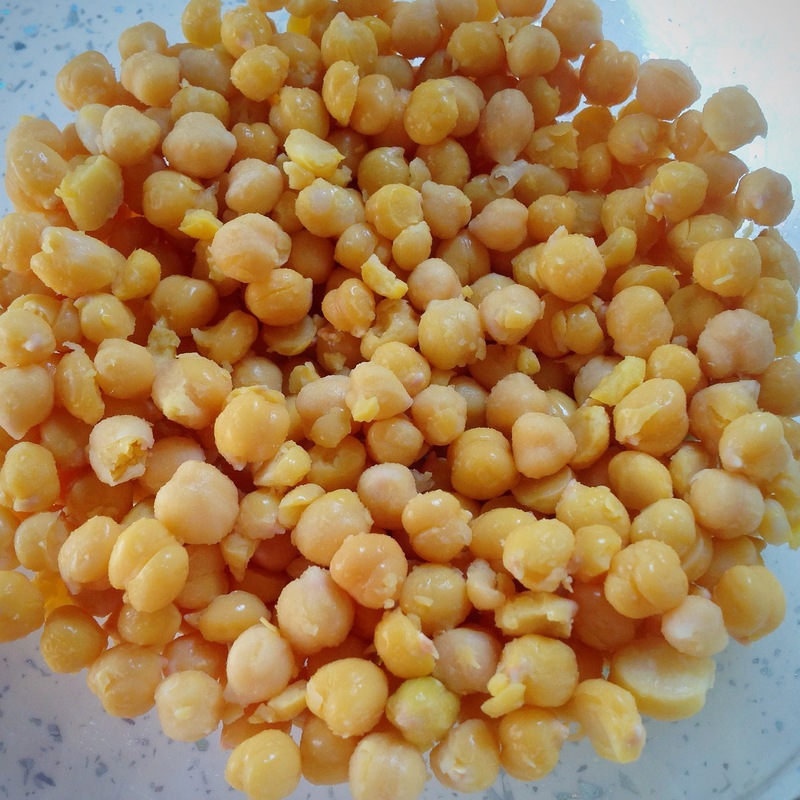 You can consider it an alternative to bread if you like? Above are roasted cauliflower steaks, reheated until crispy, topped with leftovers of my bulgur wheat salad with chopped parsley & coriander, garlic, spring onion, chilli, olive oil & lemon juice, and my salad of roasted aubergines, chopped and mashed, skin and all, with finely chopped garlic, spring onions & chillies, olive oil & lemon juice, and roughly chopped parsley and coriander, with some avocado on the side. 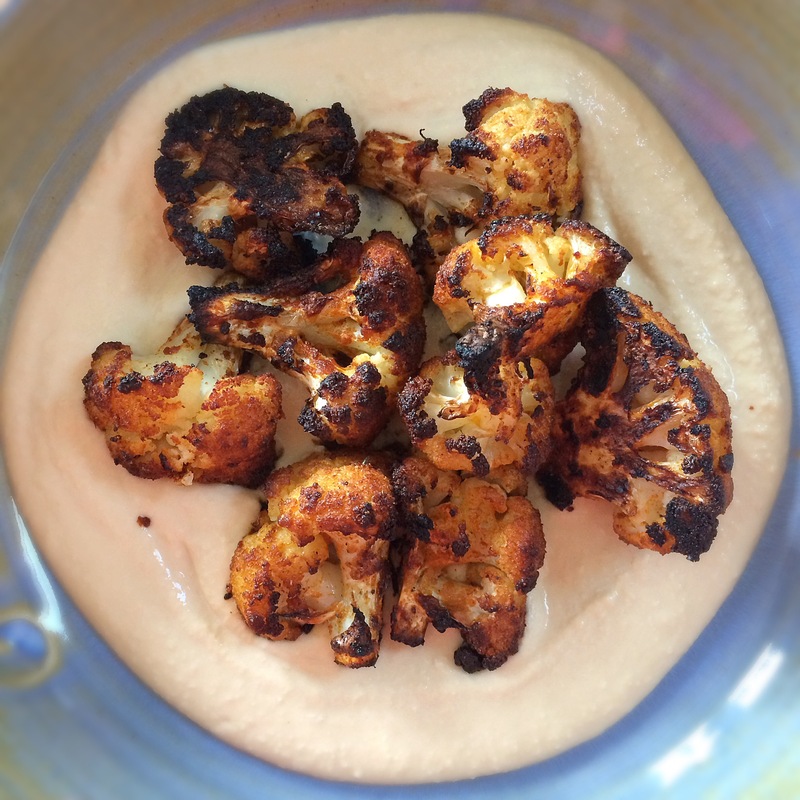 Seriously crunchy roasted cauliflower (on the edge of being burnt but not quite! 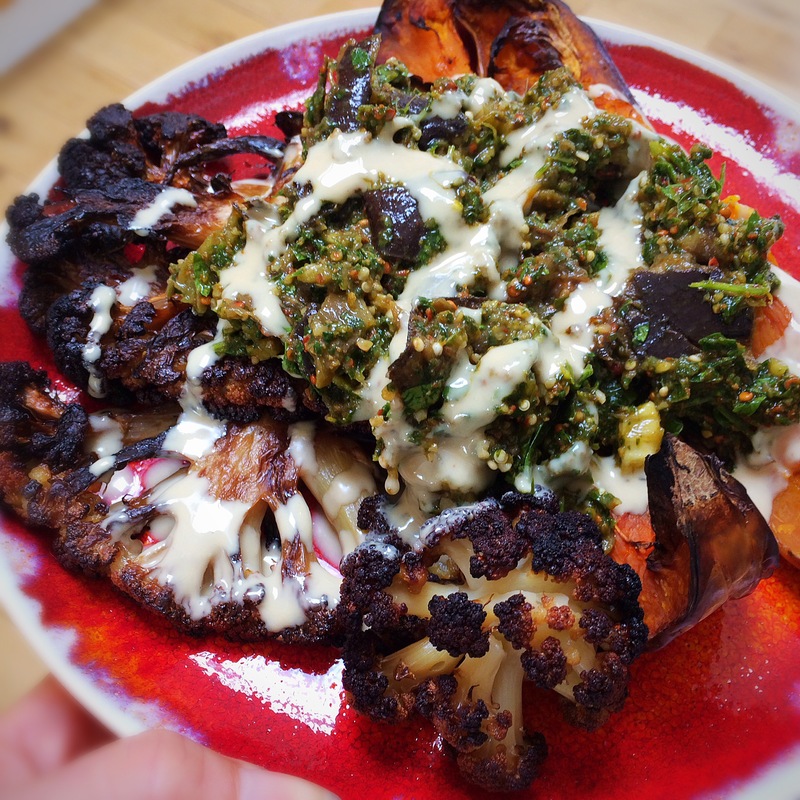 ), butternut squash wedges, and a mix of grains, aubergine, chopped herbs, spices, olive oil & ACV, all drizzled with tahini. 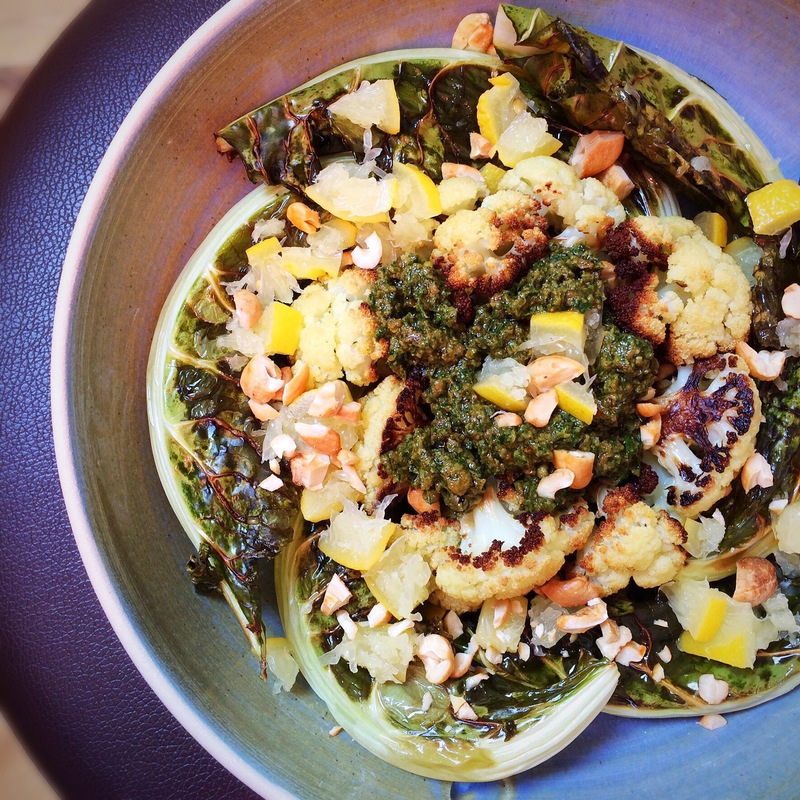 Roasted cauliflower topped with a mixed herb and freeze dried pineapple salsa, and crumbled goats cheese. 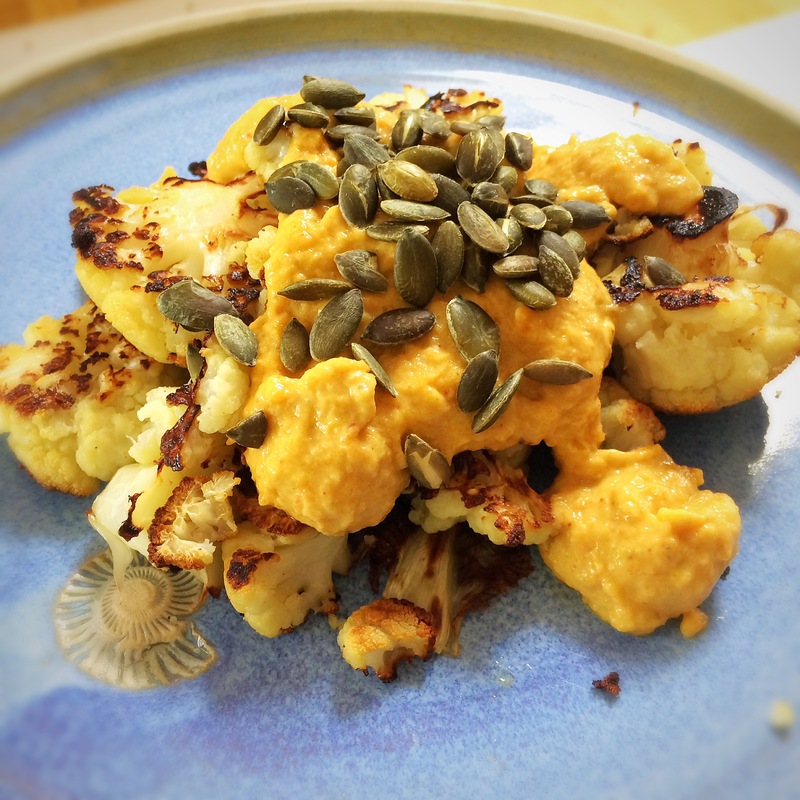 Lunch of roasted cauliflower topped with my roasted carrot & aubergine sauce creation from my last post, here pimped with added yoghurt to create something completely new and lovely – and toasted pumpkin seeds. 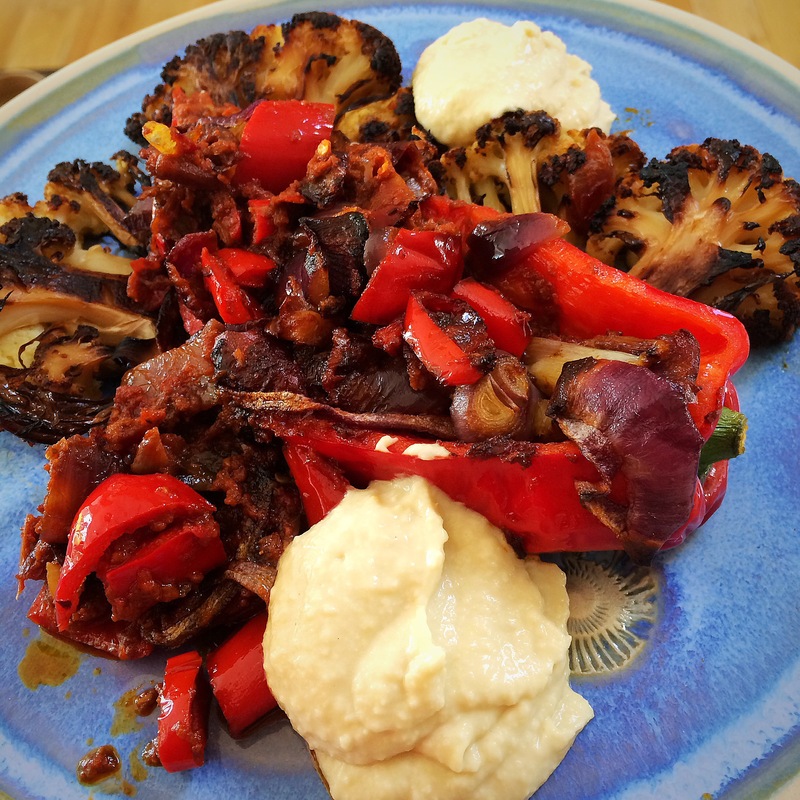 Re-roasted cauliflower toppe with stuffed roasted peppers and homous. 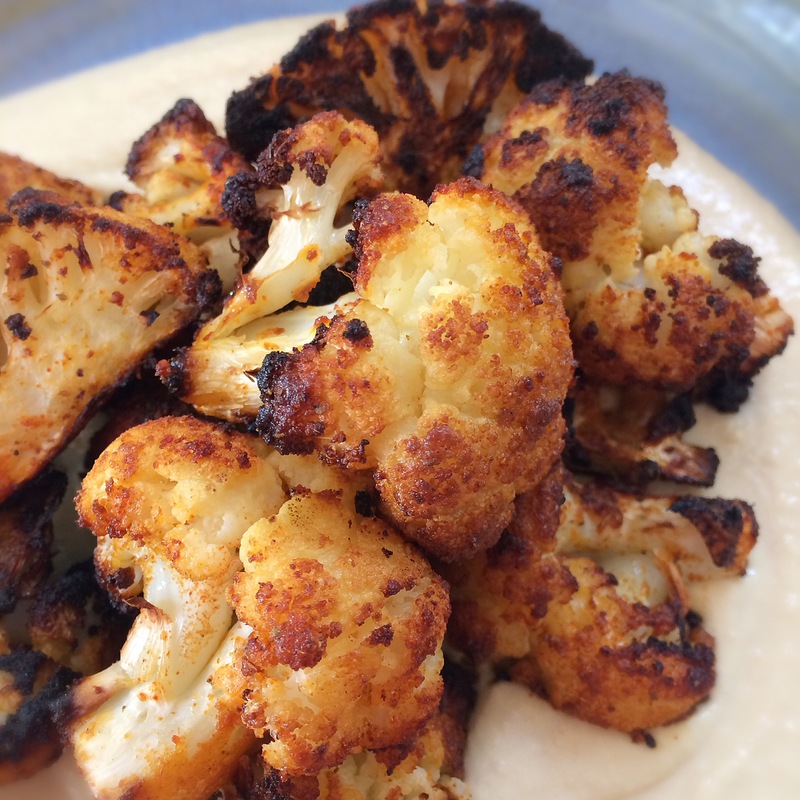 This entry was posted in Cauliflower, Dinner, Healthy, Leftovers, Lunch, Roasted Vegetables, Vegan, Vegetarian and tagged cooking, recipes on May 3, 2017 by Elaine @ foodbod. 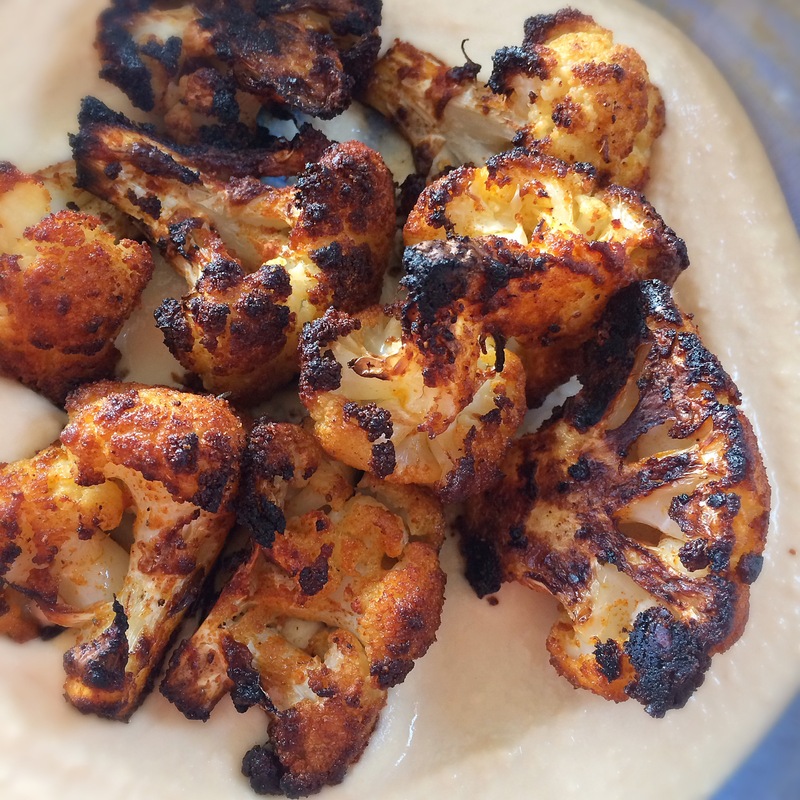 This entry was posted in Cauliflower, Dinner, Gluten Free, Healthy, Lunch, Middle Eastern, Roasted Vegetables, Vegetarian and tagged cooking, recipes on March 1, 2017 by Elaine @ foodbod. 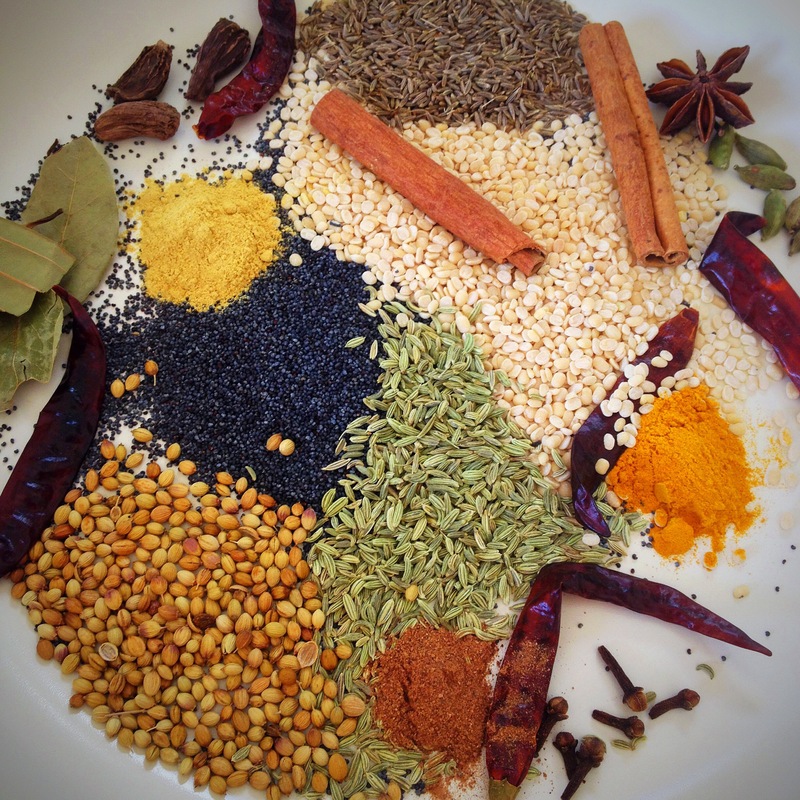 If you buy any barbecue spice mixes or rubs or seasonings, they will include a smoky element, maybe a spicy element, usually a lot of salt, and pretty much always a HUGE amount of sugar. 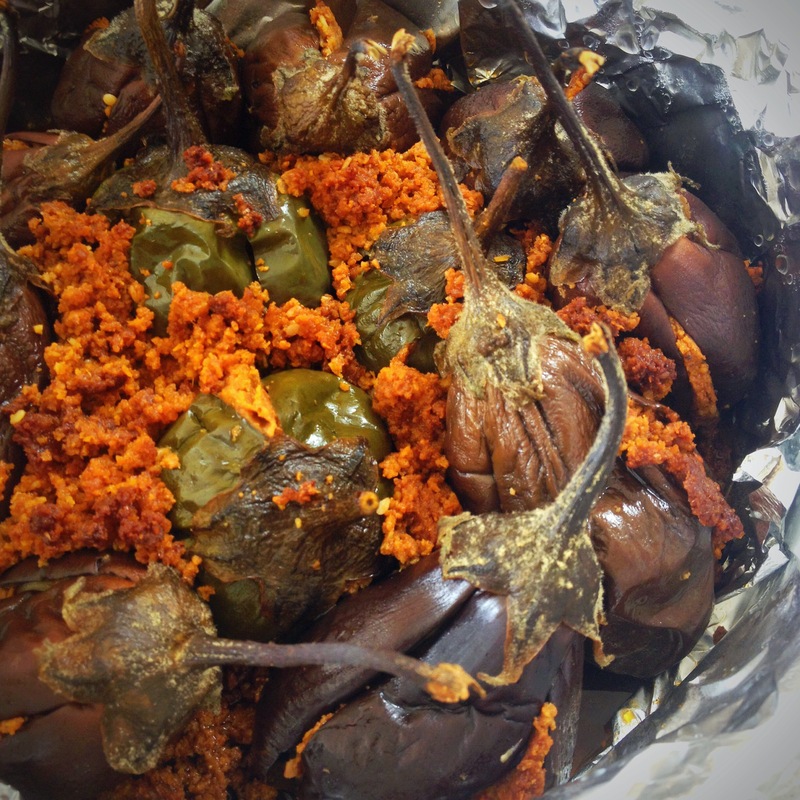 That mix of flavours epitomises BBQ seasonings, and aids the caramelisation of whatever is being cooked with it. 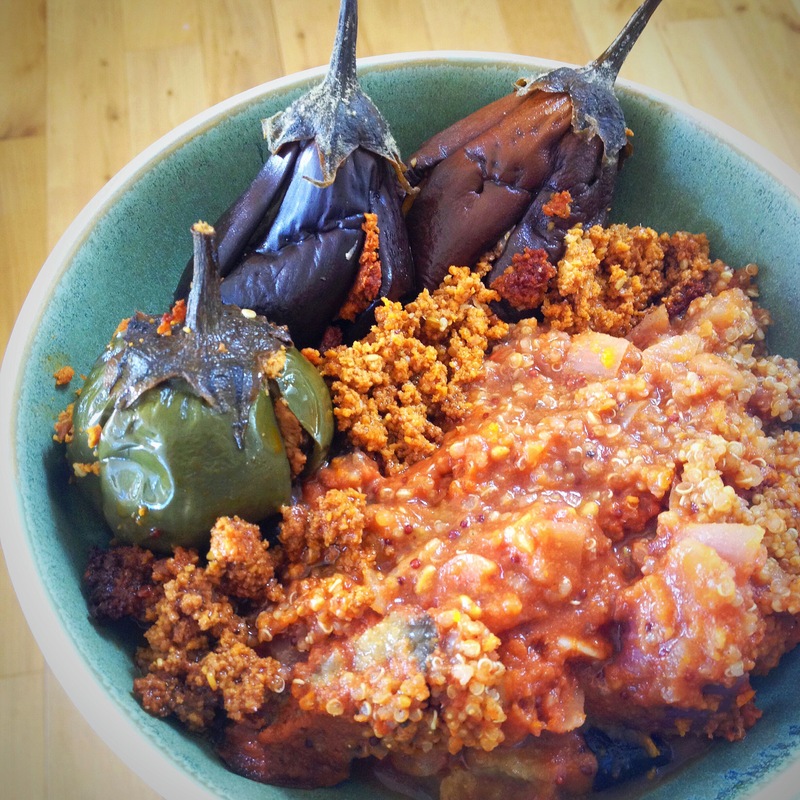 If you have seen my previous two posts, for my chilli cause and my salsa, you will have seen that I used ground freeze dried pineapple as the sweetnener. It intrigued me whether this could be used in a spice mix in the same way, or would it just burn when cooked? 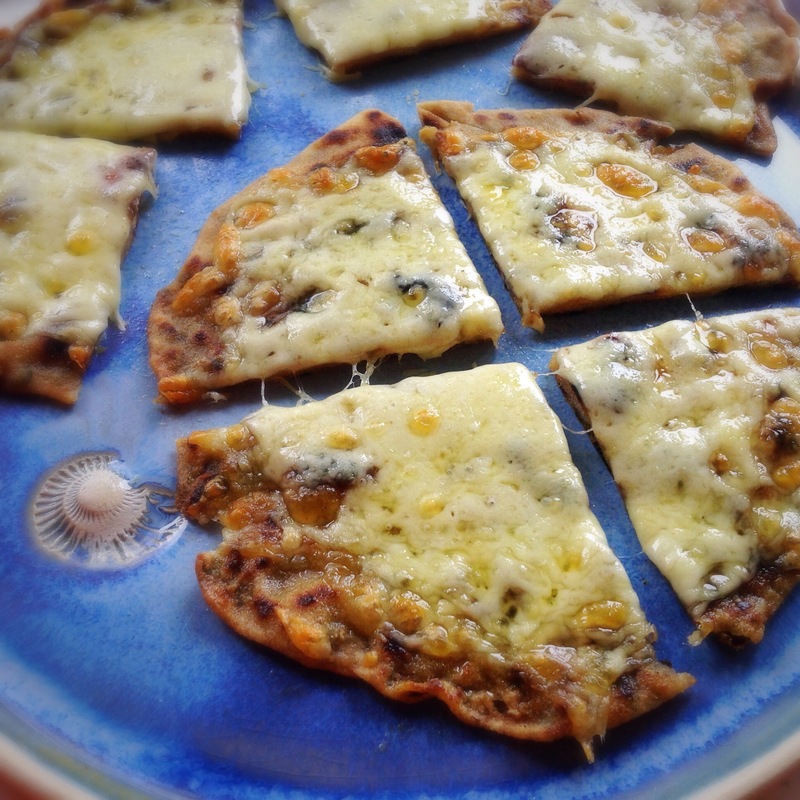 Pineapple caramelises if you grill it, so what would the freeze dried version do? 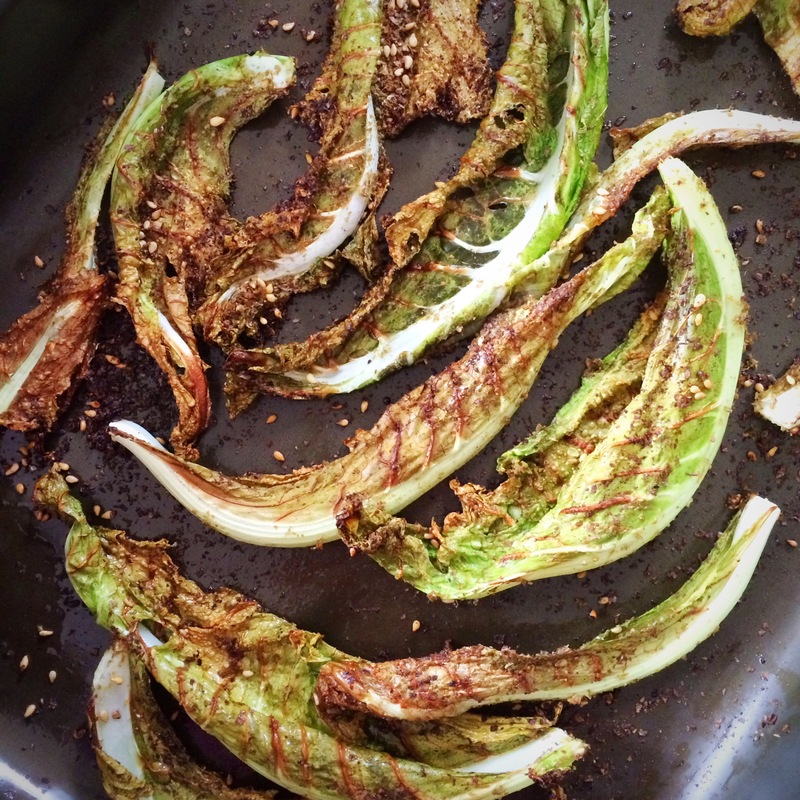 What looks like burnt bits isn’t, it didn’t taste burnt, merely crunchy and tasty. I think if I’d cooked it any longer, it would have taken it too far. This is what I mixed.. I mixed it all and ground it to a fine mix, but you could keep it more textured if you wish. 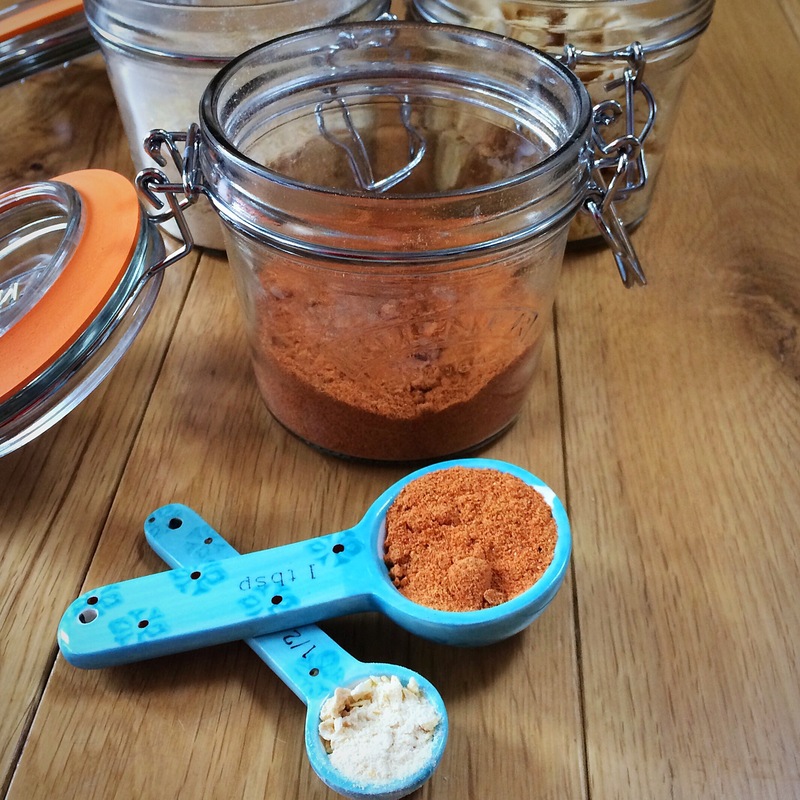 The mix stores well in a sealed glass jar. 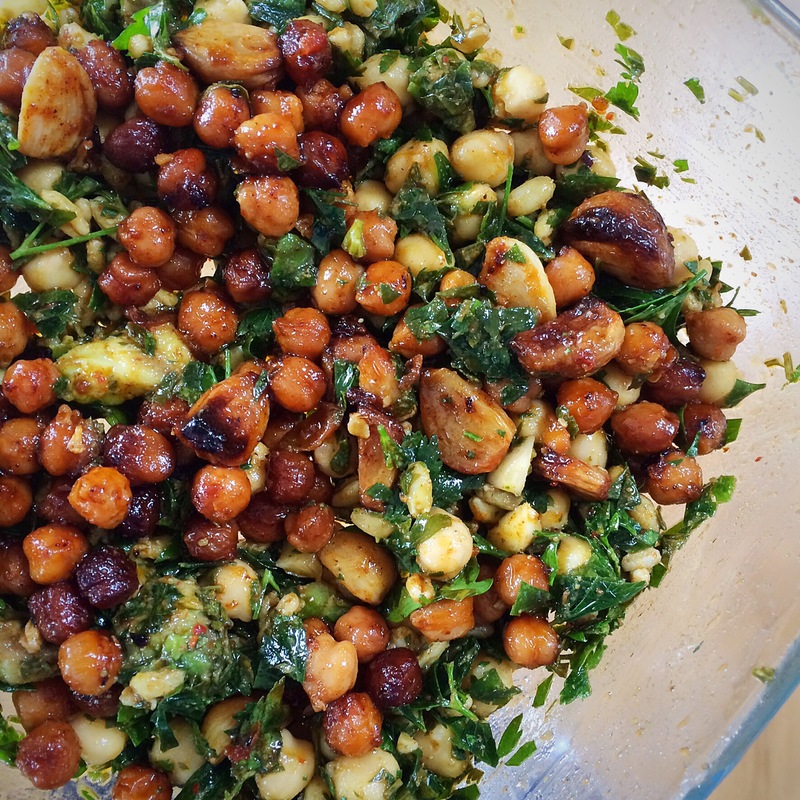 If it clumps together just break it up before you use it – any mix using garlic powder tends to clump as it’s quite moist. The mix of flavours is so good, it’s still not as sweet as store bought mixes would be, because that’s my choice, but you could play with that. Do keep in mind that the pineapple is very sweet, so you may not need as much as you think. So, success, I think? What do you reckon…? I hope that everyone at this week’s Fiesta Friday like my creation 🙂 this week, the lovely Petra and Ai are co hosting, pop over and have a visit…happy weekend! 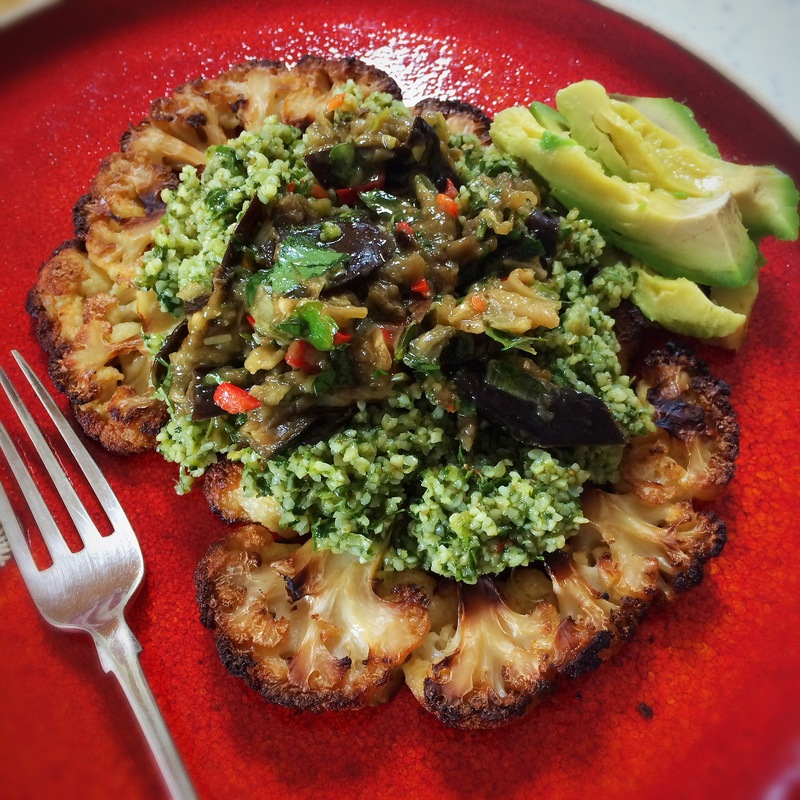 This entry was posted in Cauliflower, Dinner, Gluten Free, Healthy, Lunch, Roasted Vegetables, Sugar Free, Vegan, Vegetarian and tagged cooking, pineapple. 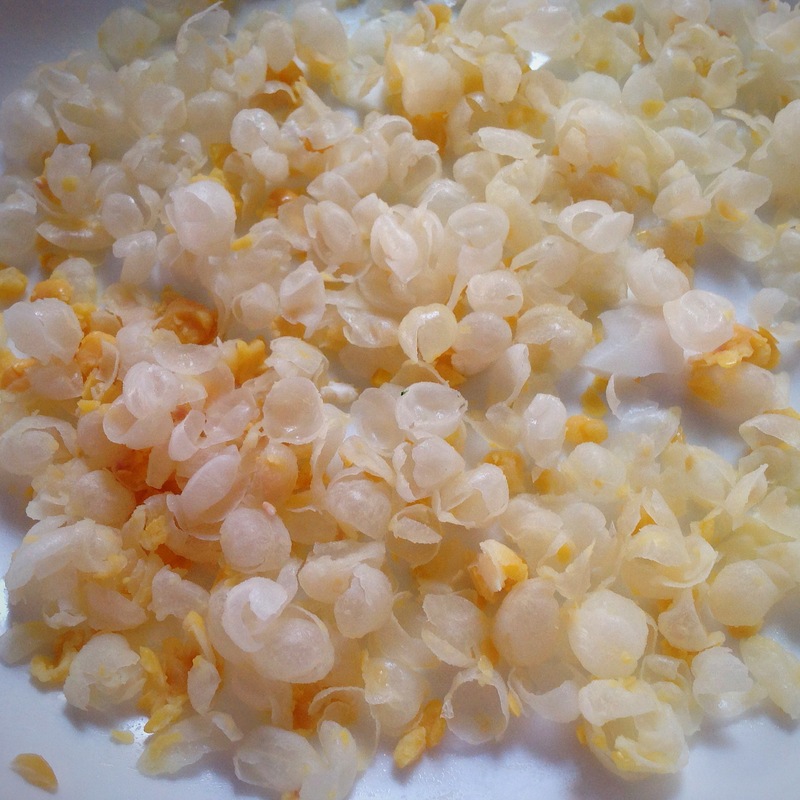 feeeze dried pineapple, recipes on February 6, 2017 by Elaine @ foodbod. 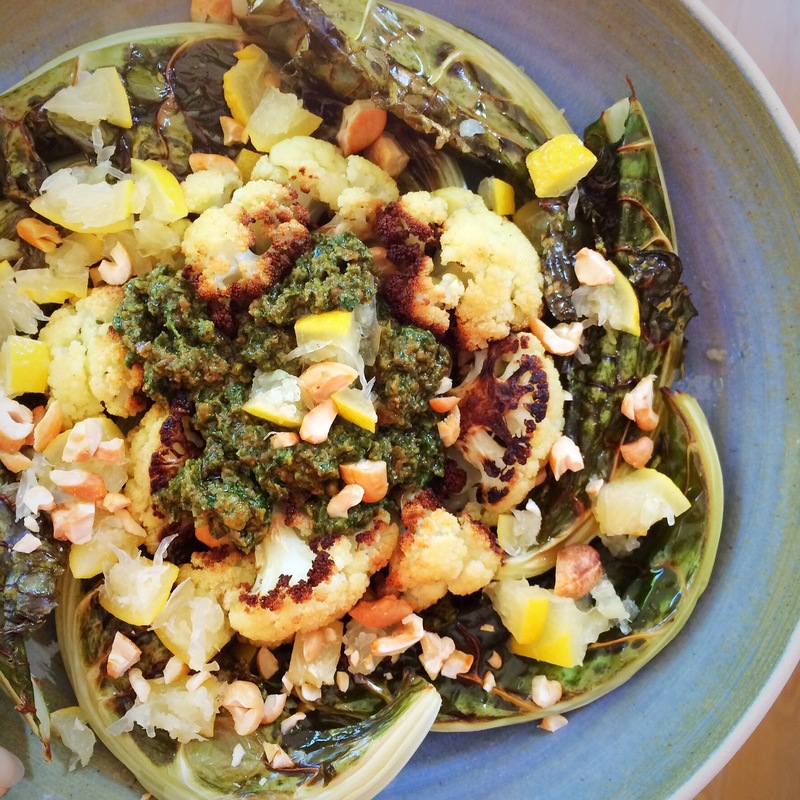 This was one of those dishes that developed over a few days, started out as one thing, and became another, as I pimped leftovers…and culminated in such heaven on a plate that I just had to share it! The salad at the top, left of the dish, is made up of lots and lots of chopped flat leaf parsley; a mixture of cooked grains, in this case including spelt and kamut, both cooked my way; chopped garlic; liberal amounts of ground roasted cumin and paprika, and a sprinkling of Aleppo chilli flakes; a good amount of lemon juice and a good amount of olive oil. 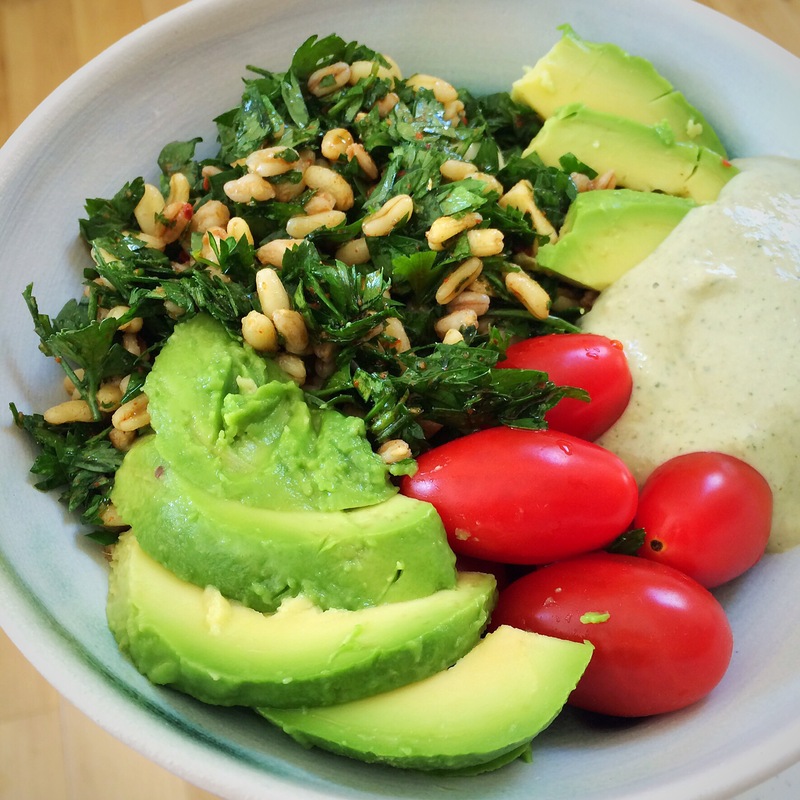 This is a very typical salad for me, sometimes it includes chopped coriander as well, sometimes some added dill, all different grains, sometimes added seeds or nuts. I usually put all this together and then leave it to brew overnight, as the flavours develop and it is even better when eaten the next day, and the day after that to be honest. This occasion was no different. And so it became a part of the meal above one lunchtime. 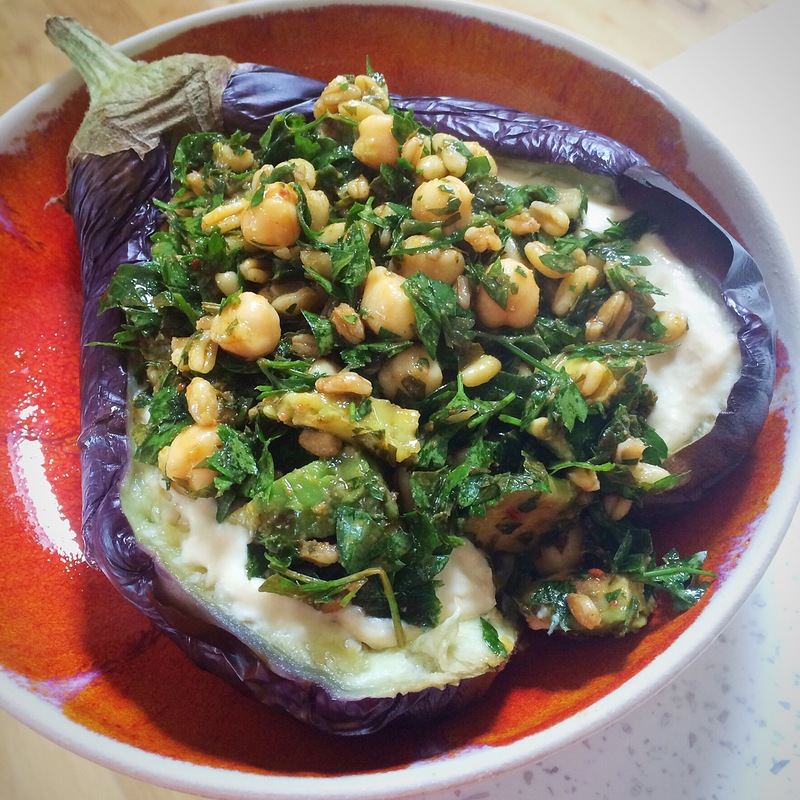 The next day, some of the leftovers made their way onto this lovely aubergine boat, now very much a firm fixture in my kitchen since its first introduction…and as you’ll notice, the salad had gained some cooked chickpeas and avocado by this time.. 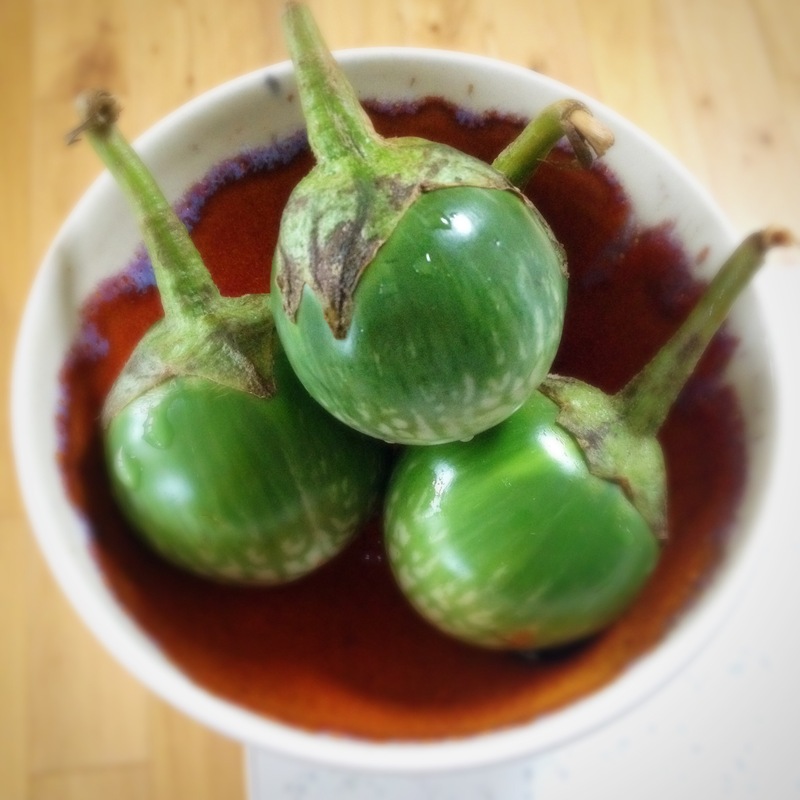 I cooked the aubergine whole in the microwave for 6 minutes ( it was a large aubergine) then put it under a hot grill, close to the heat, turing it occasionally to slightly burn the skin and give it a nice finish. I then cut it open and slathered the hot softened flesh with freshly made homous, and topped with more of the salad. Yum!!!! 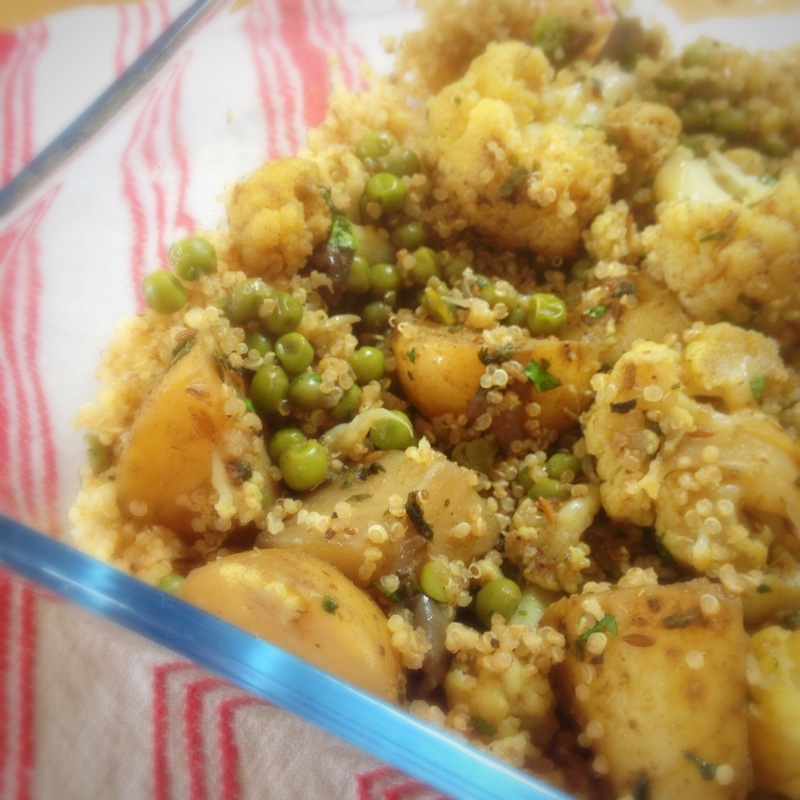 The leftovers then sat in the fridge for another day, during which time I made up my most favourite of dishes, my marinated cauliflower and chickpeas. 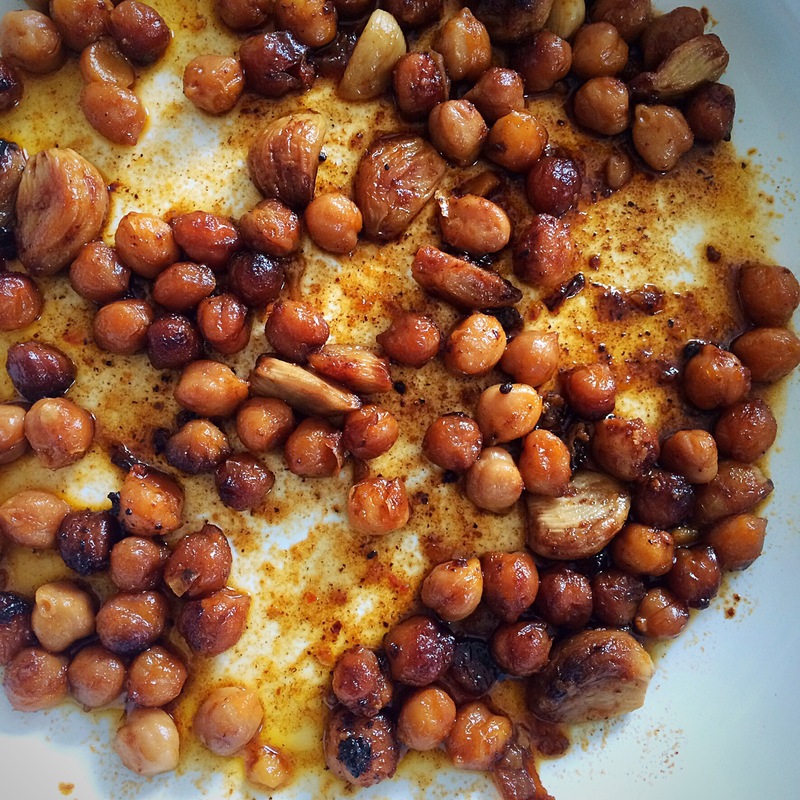 I’ve learn from experience to roast the dish for longer than I did originally, and having served and eaten the cauliflower, and/or potatoes, whichever version you make, and been left with some chickpeas and garlic, put it back I the oven to cook even more. The outcome is stunning, and a challenge not to eat it all immediately!!! These were the leftovers that I forced myself to save!! 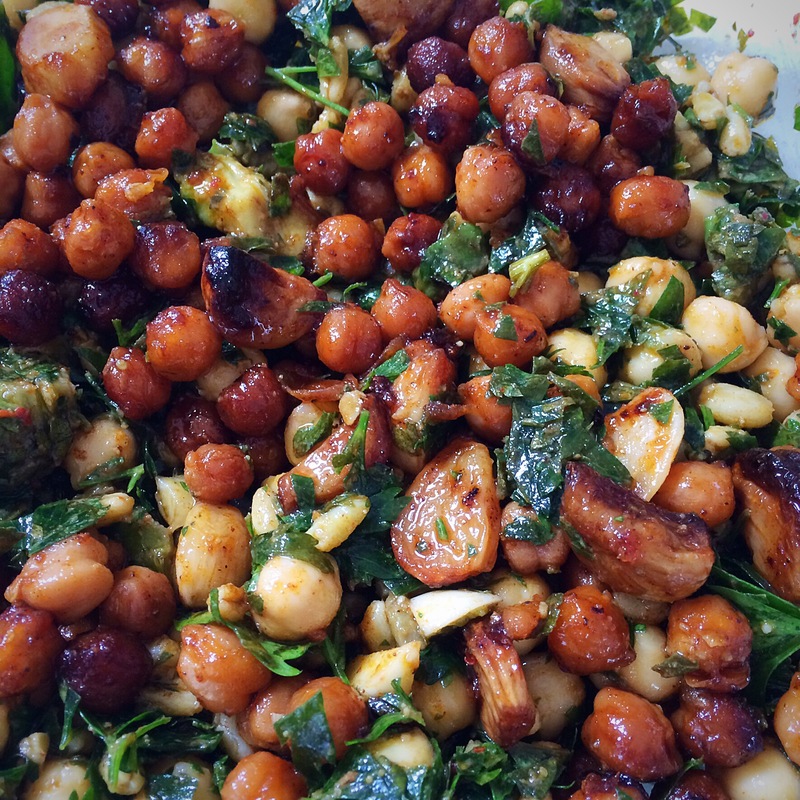 And so yesterday, they joined the rest of my salad, and created a dish of so much flavour and joy, I can barely find the words!! 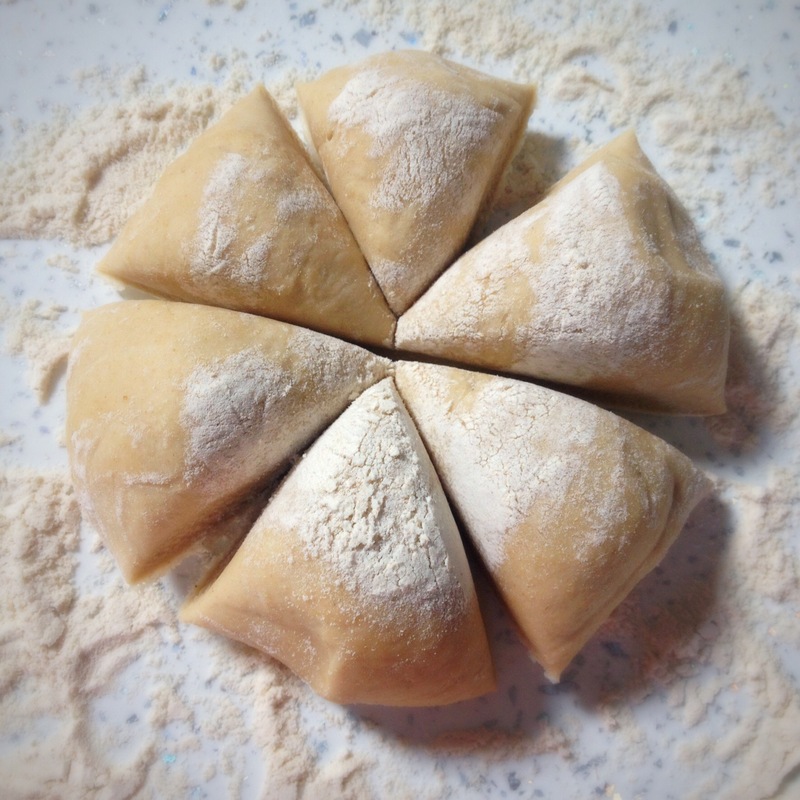 The mixture of the ingredients and flavours, and how they’d all developed was fabulous! 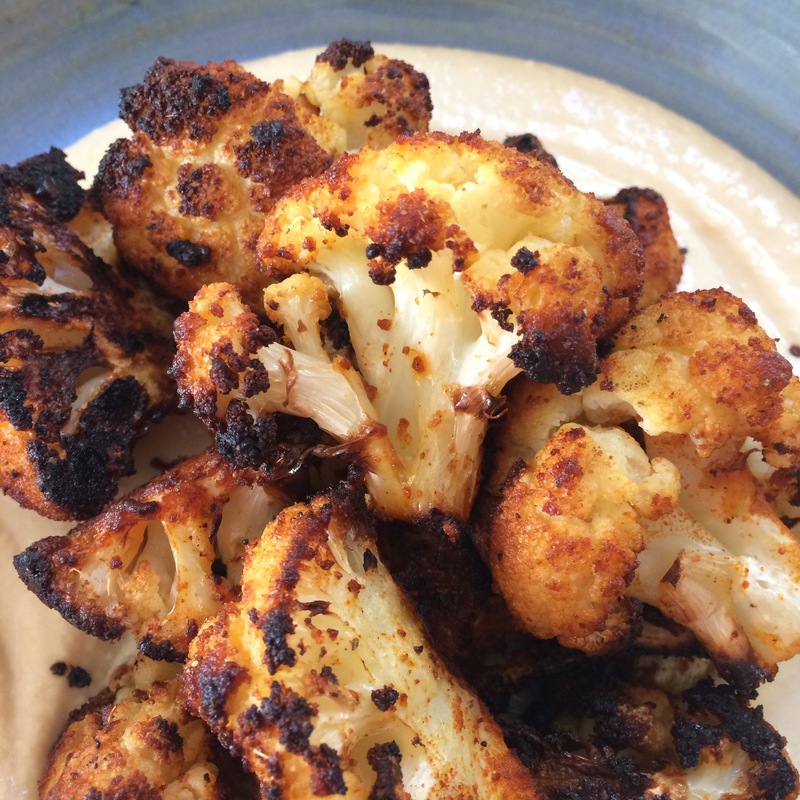 This entry was posted in Aubergine, Cauliflower, Dinner, Dips, Gluten Free, Healthy, Leftovers, Lunch, Middle Eastern, Vegan, Vegetarian and tagged cooking, recipes on June 28, 2016 by Elaine @ foodbod. 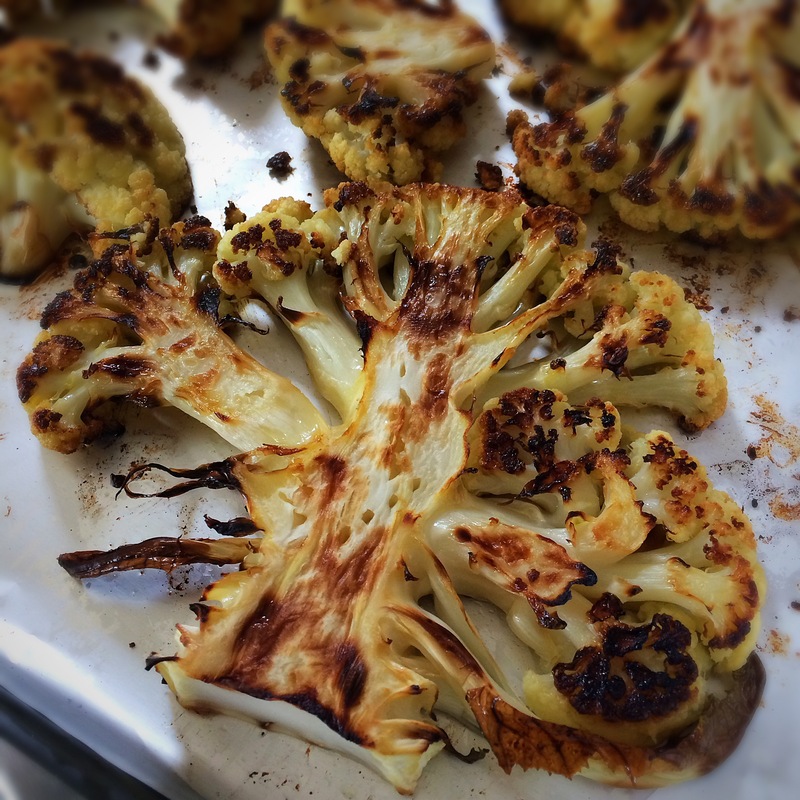 A little while ago I was intrigued by a post on Laura’s blog about roasting the outer leaves of a cauliflower; I’d read about it before but not yet given it a go myself, so of course, I got straight onto it! 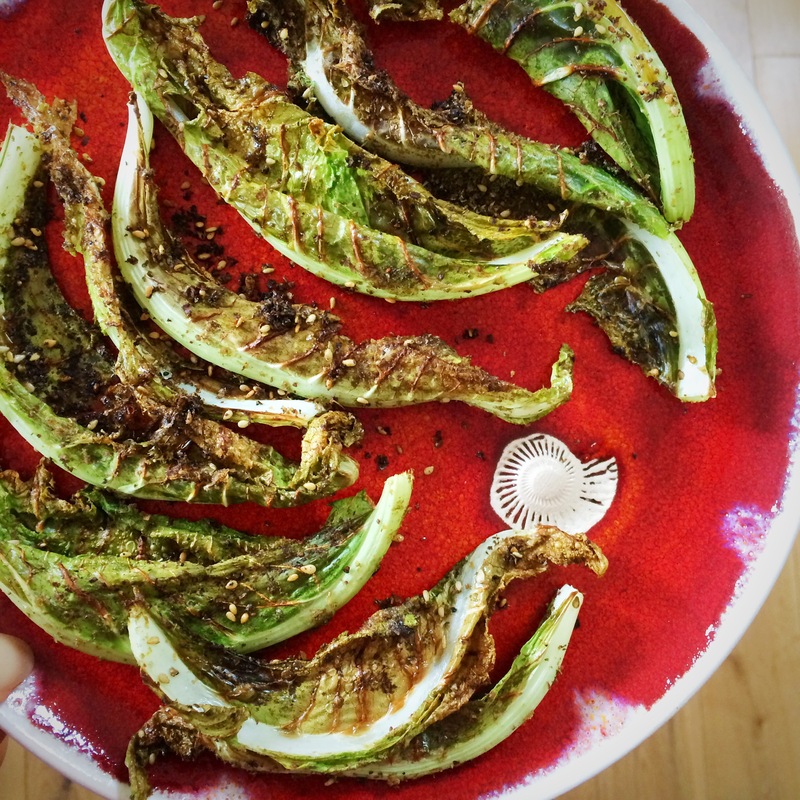 The leaves roast very quickly, especially the outer, thinner, leafy bit, and they get really crispy. The challenge is not to eat them straight out of the oven because, firstly (and obviously if I’d stopped to think about it!) 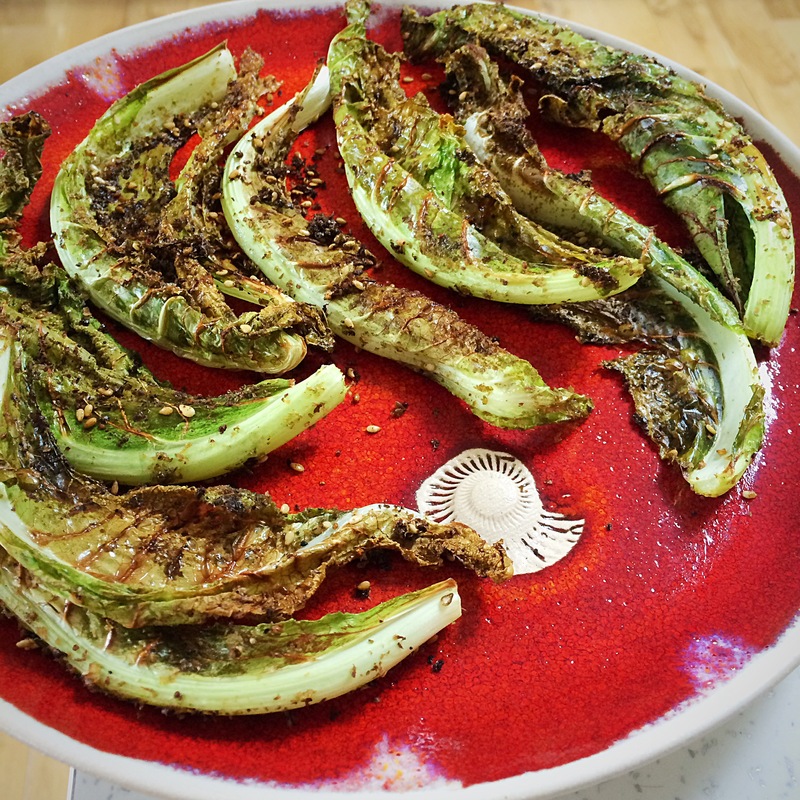 they get really hot, and secondly, if you just wait a few minutes, the leaves crisp up even more (as I discovered after exercising some patience…having burnt my tongue on the really hot one!). 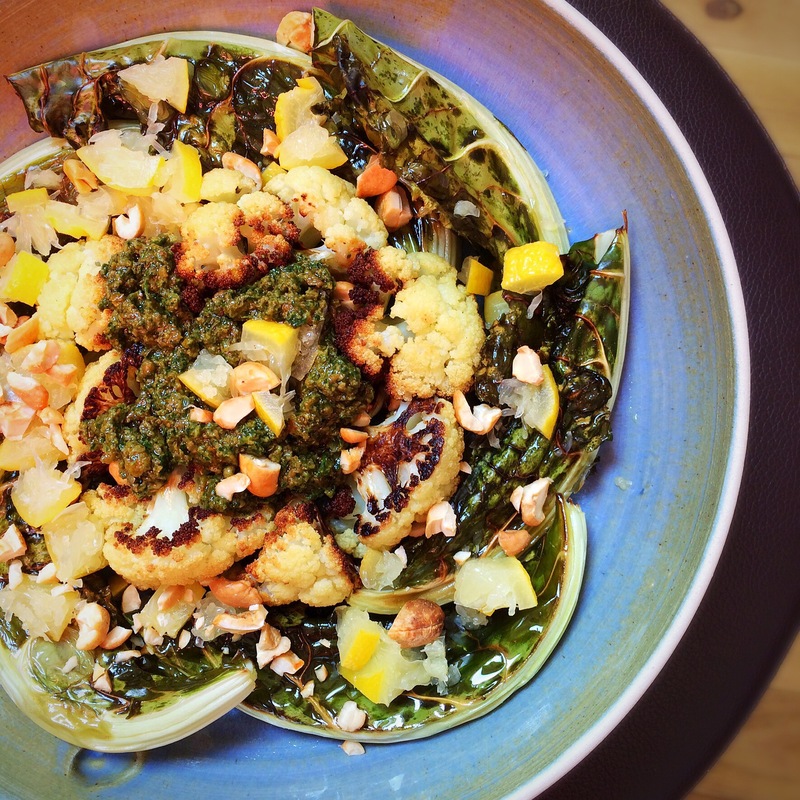 Yesterday I made the dish below using a mixture of the cauliflower leaves as well as roasting some of the florets and chunks of the main stalk (this part is also very tasty, usually having more flavour than the actual florets, in my opinion).. 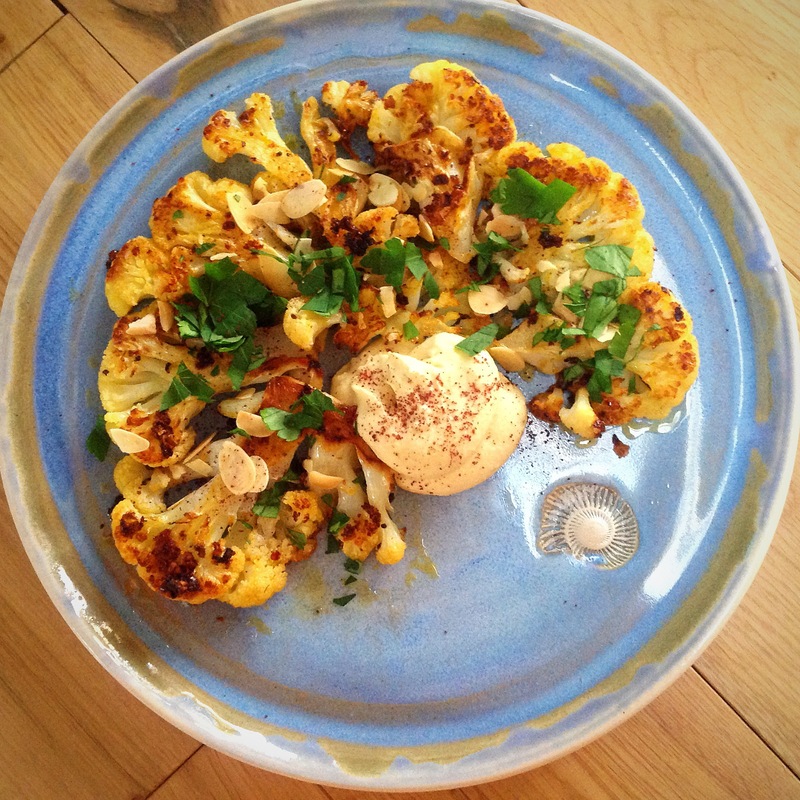 I topped my cauliflower with chopped persevered lemon, chopped cashew nuts that I’d roasted and sprinkled with Aleppo chilli flakes, and a herby harissa concoction I created from mixing my rose harissa with chopped coriander, parsley and mixed seeds.. 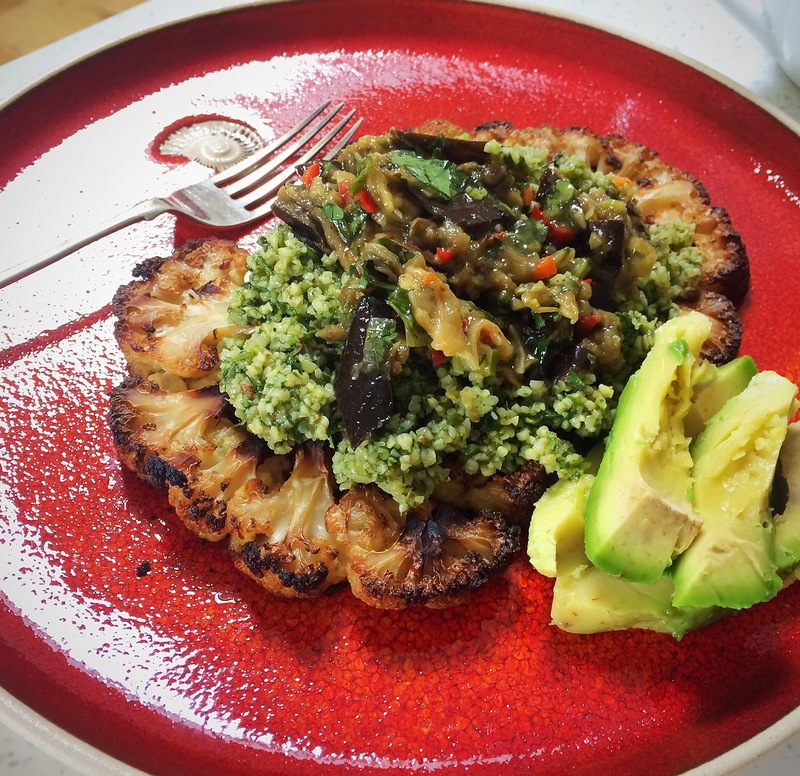 This entry was posted in Cauliflower, Dinner, Fellow Bloggers, Gluten Free, Healthy, Lunch, Roasted Vegetables, Vegan, Vegetarian and tagged cauliflower leaves, cooking, recipes on June 7, 2016 by Elaine @ foodbod. 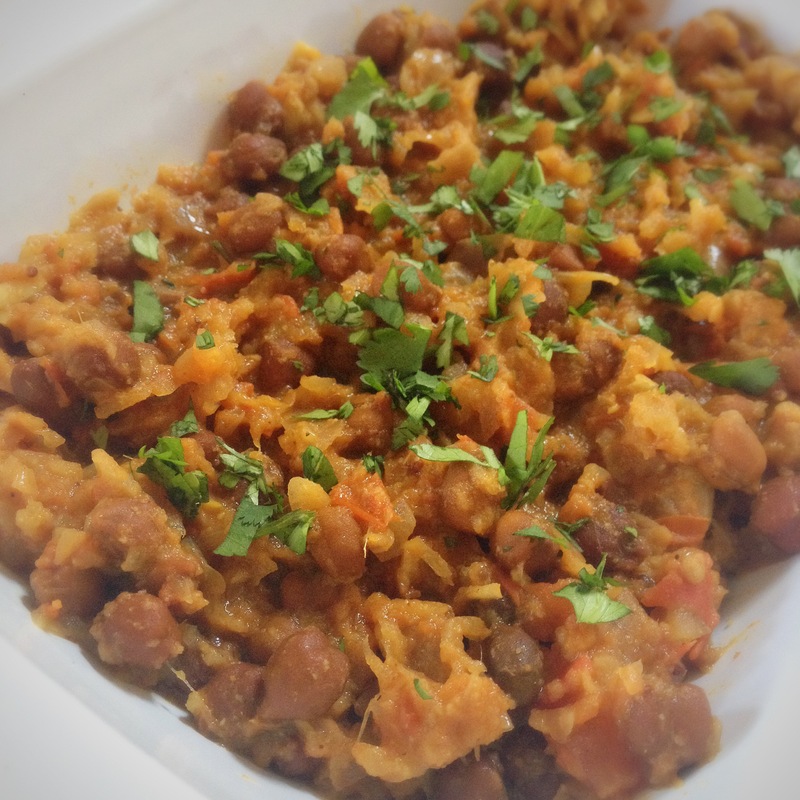 At the weekend, one of the dinners I prepared was an Indian feast, which included marinated chicken kebabs for my boys, this kala chana (brown chickpea) curry, which was a masala sauce I had created myself and added the chickpeas to..
…aloo gobi matar, which is potatoes, cauliflower and peas, cooked with red onions and spices. 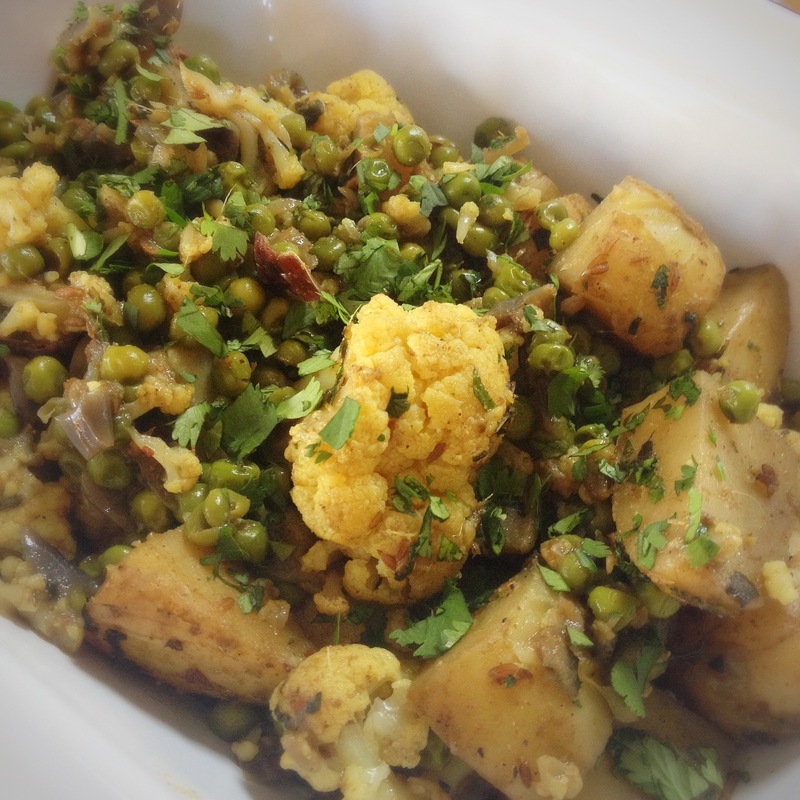 I followed Aruna’s recipe for aloo gobi and added the peas to that. 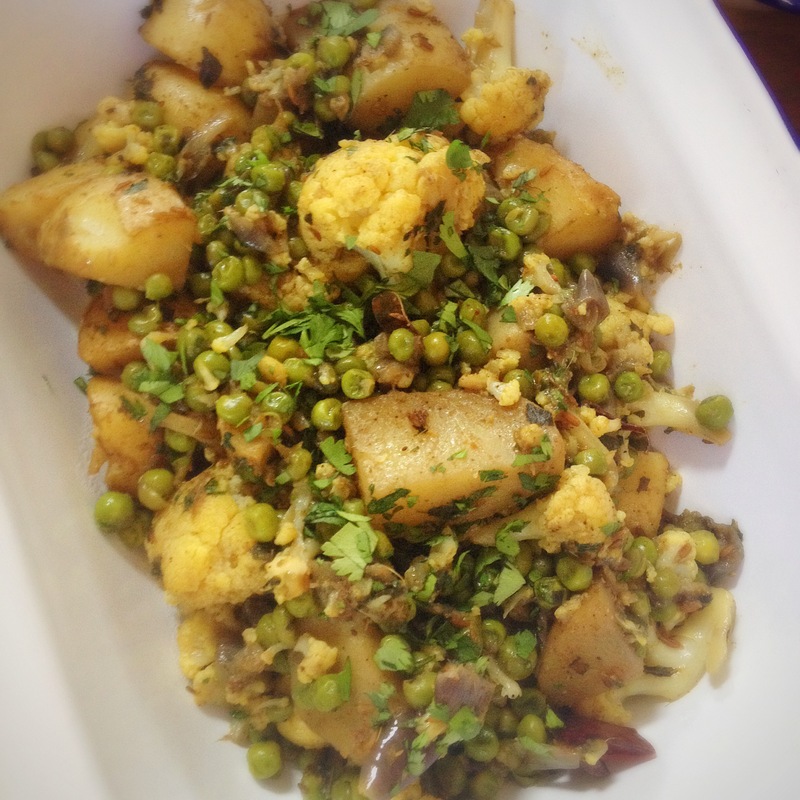 It was a very tasty dinner and the aloo gobi matar, with the lovely sweetness of the peas, was a great addition. 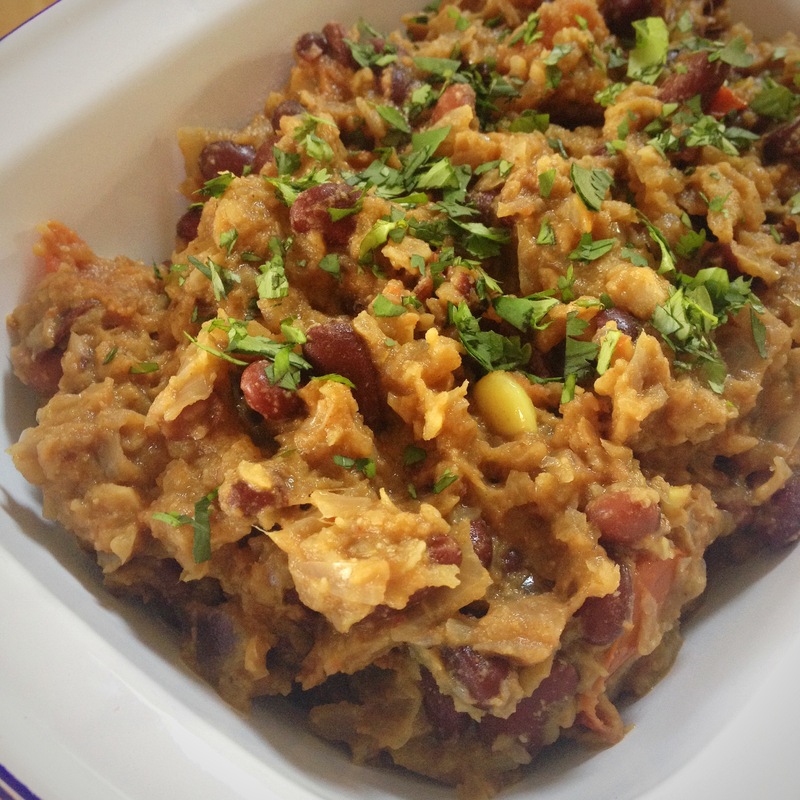 And of course, maybe the best bit, there was lots of lovely leftovers…I’ve still got a big dish of the rajma curry in the fridge today! 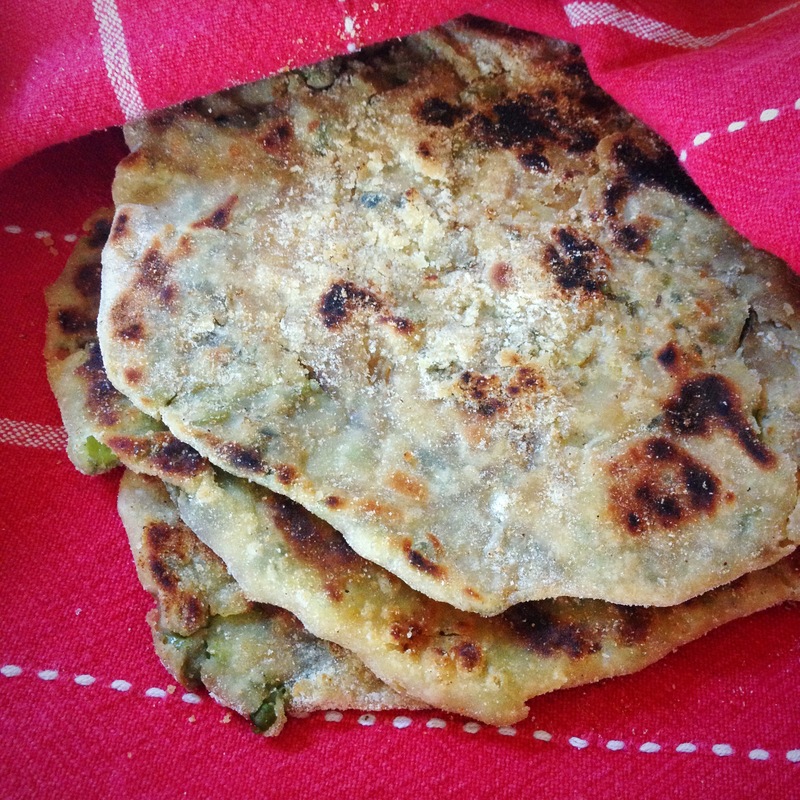 …and the other half I stuffed into flatbreads and successfully tempted my son with them 🙂 He didn’t eat the vegetables as they were in the original dish, but he happily ate them stuffed into bread! And again, grilled some cheese on the leftover breads! Why not? It worked so well previously, why not do it again…and again?! 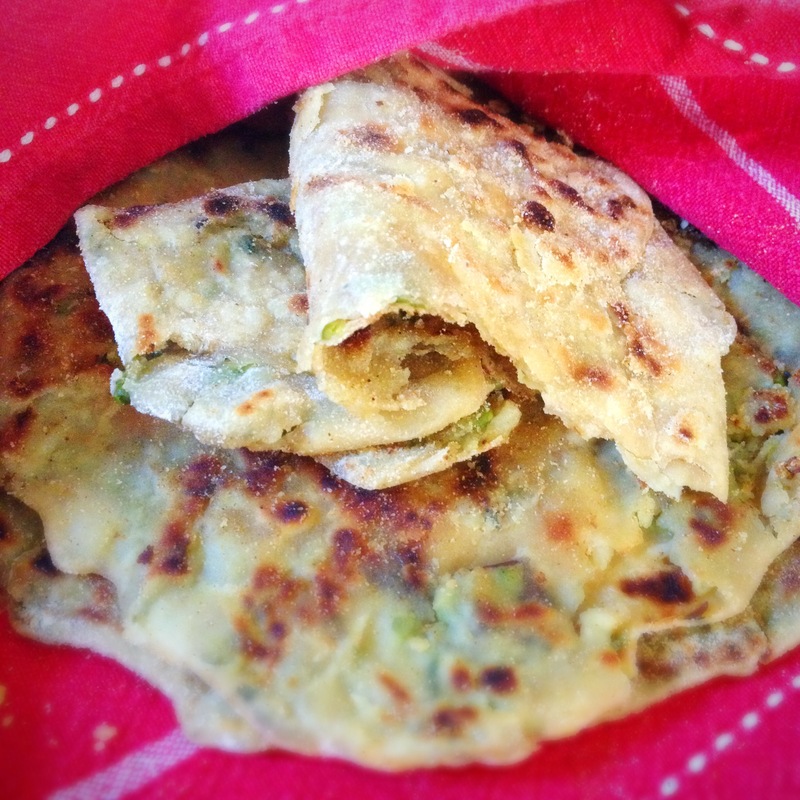 This entry was posted in Cauliflower, Dinner, Healthy, Indian, Leftovers, Lunch, Vegan, Vegetarian and tagged aloo gobi matar, cooking, flatbreads, parathas, recipes on April 19, 2016 by Elaine @ foodbod. 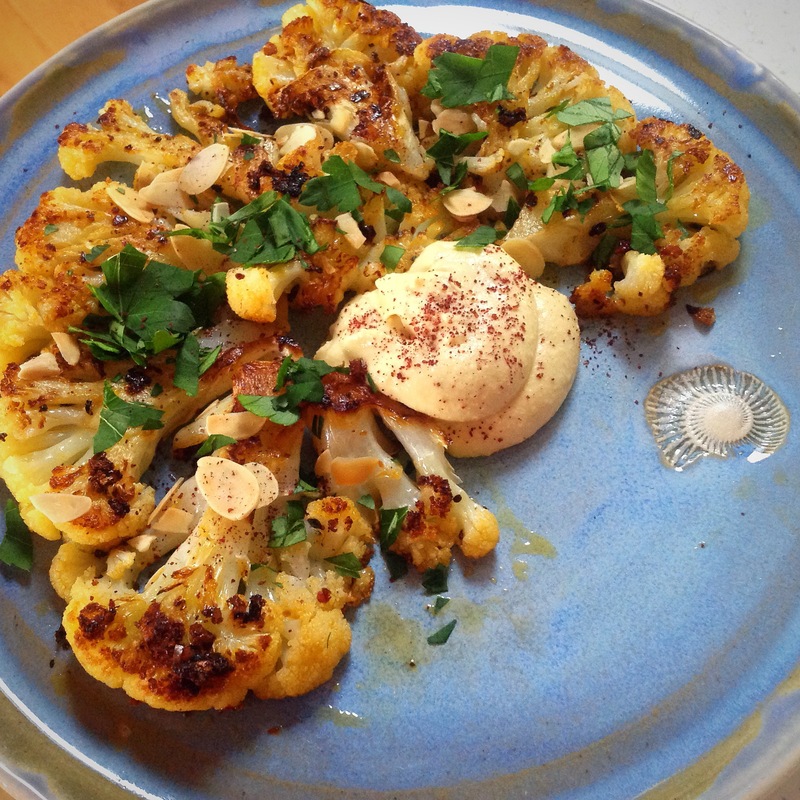 Me cooking cauliflower is nothing new, you’ve seen me share many cauliflower recipes, and I roast cauliflower several times a week, but when I saw Lizs post including her pan roasted cauliflower steaks, I knew it would become a new way of cooking cauliflower in my kitchen. 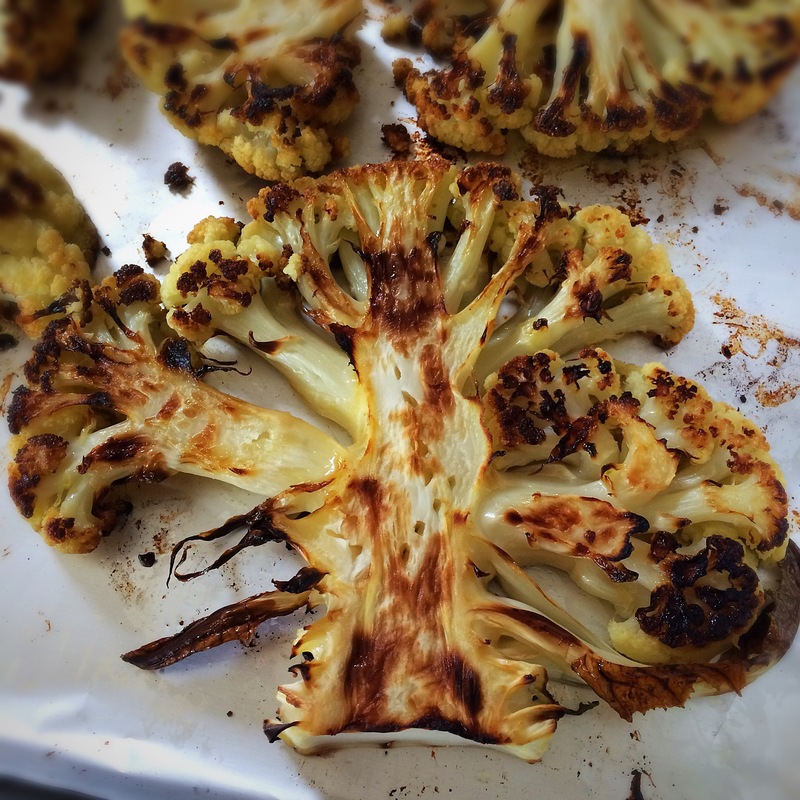 I’ve pan cooked cauliflower before, but not as whole ‘steaks’ like this and it was great – and so pretty! 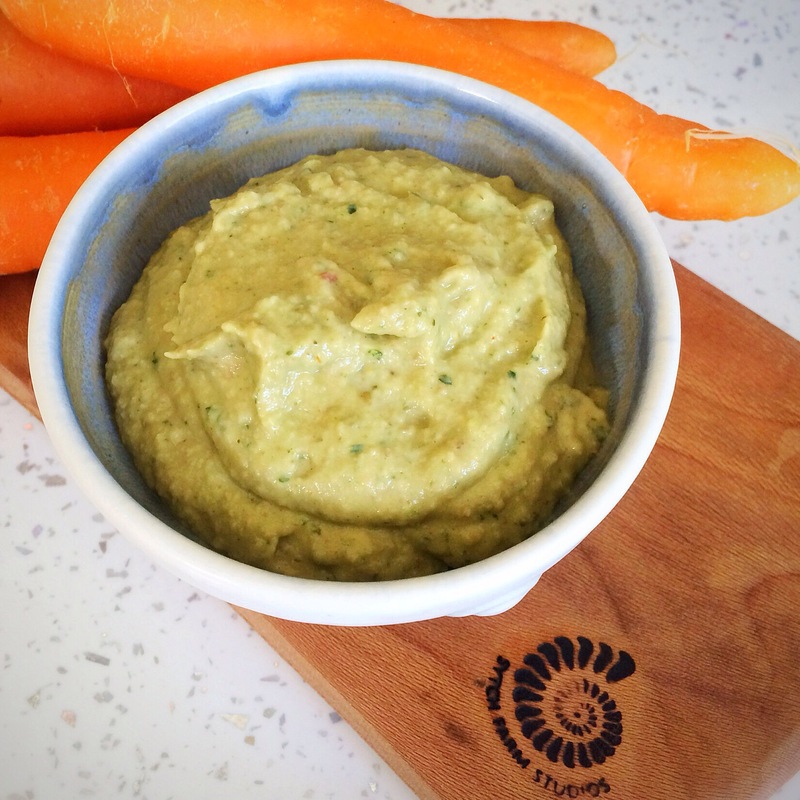 The method generates a lovely creamy dip and I’m so glad I tried it, and definely recommend it. 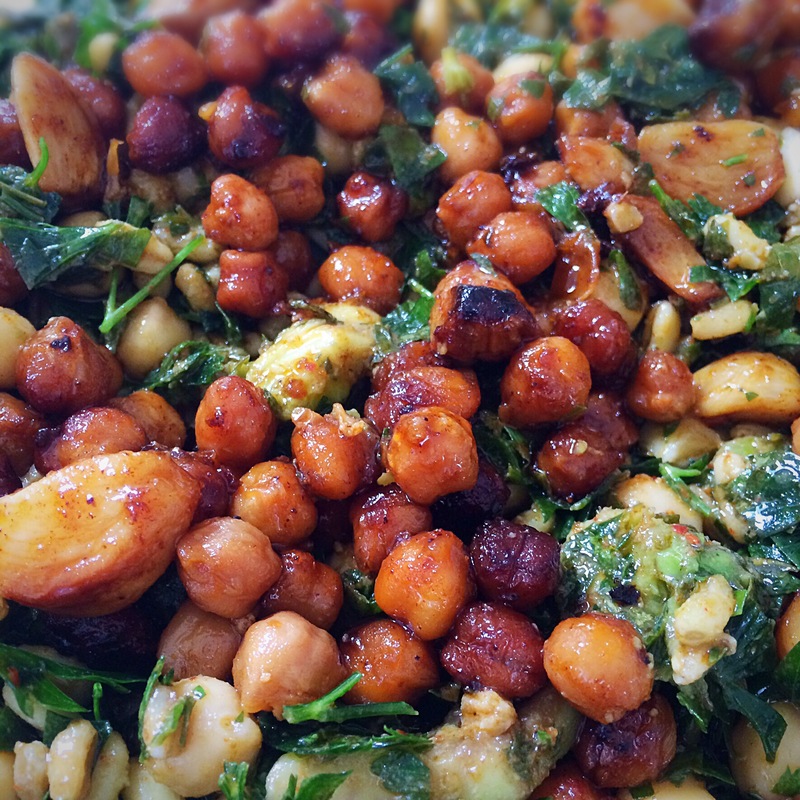 I also served it with sprinkled sumac, toasted flaked almonds and chopped parsley. 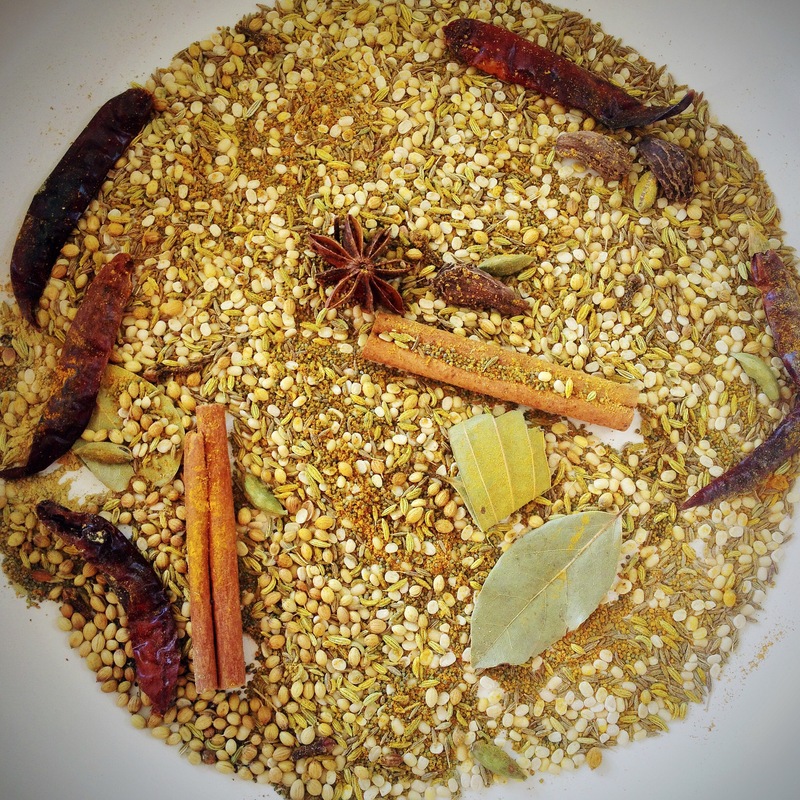 I also made a new spice mix recently; I follow Tanvee on Instagram and her lovely blog, and she told me about Kitchen King Masala, a spice mix used widely in India. 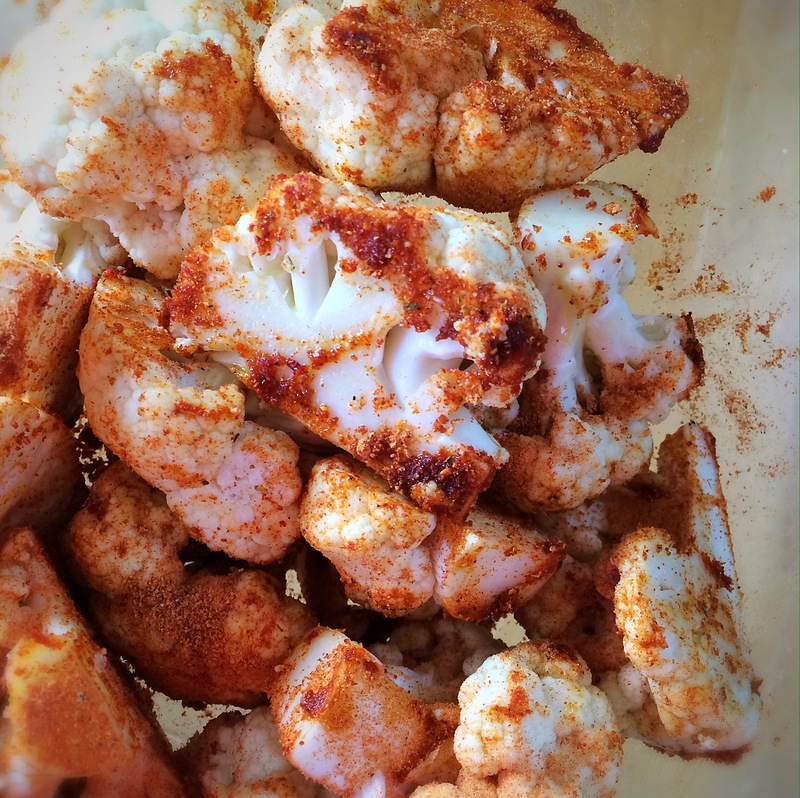 You know me, I always like a new spice mix, and I loved making this one too.. 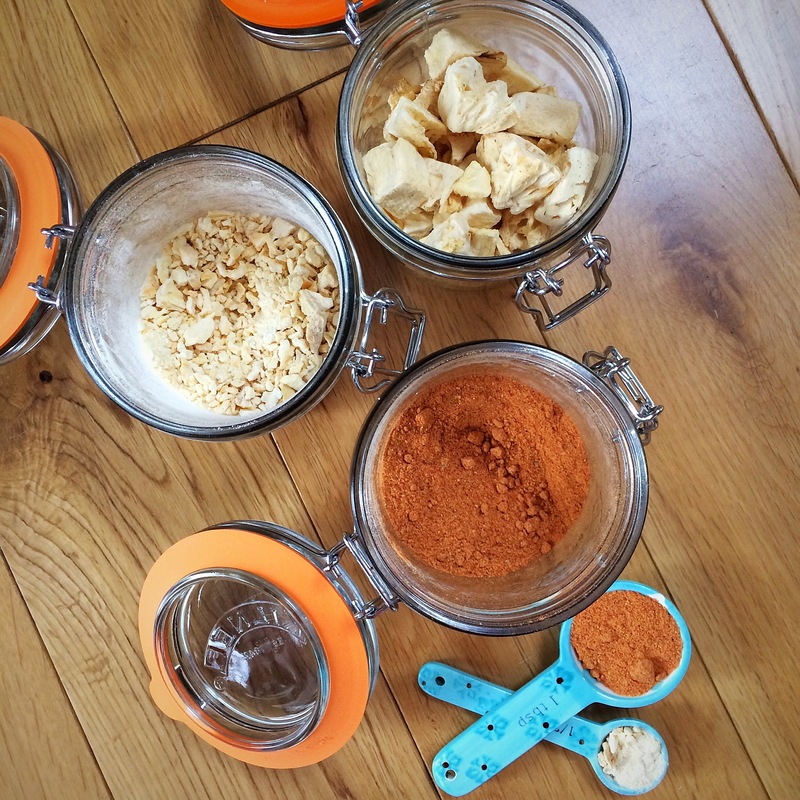 I have also made the Cajun spice mix from Mollies blog, which the blogs have liked on their chicken and in their quesadillas. And Andreas honey chipotle chicken, another winner with the boys – and eaten far too quickly for me to photograph. 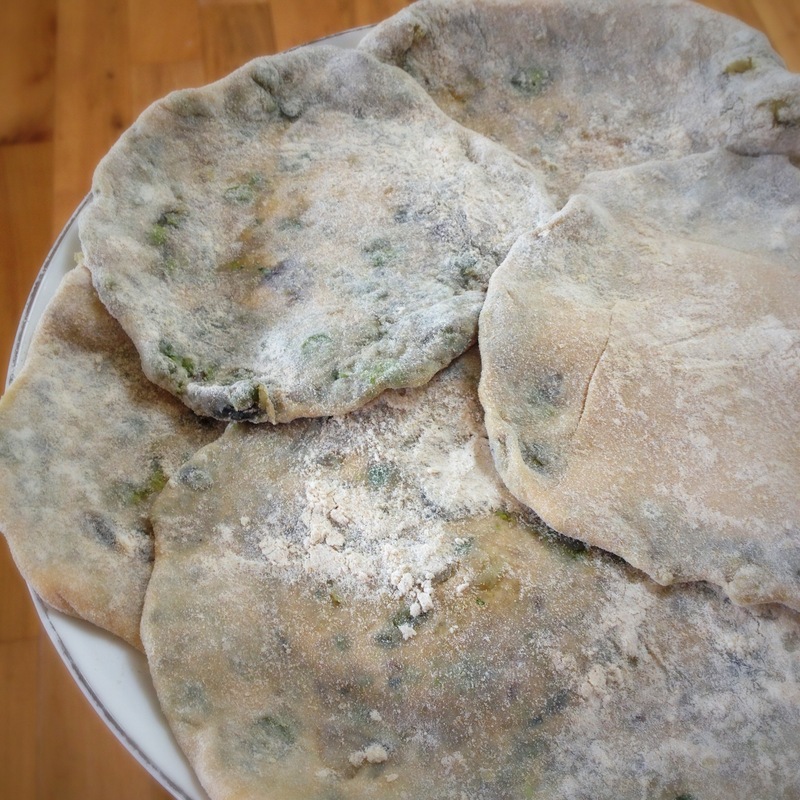 Trupti’s spinach dal was also very tasty – but again, no photo, sorry!! 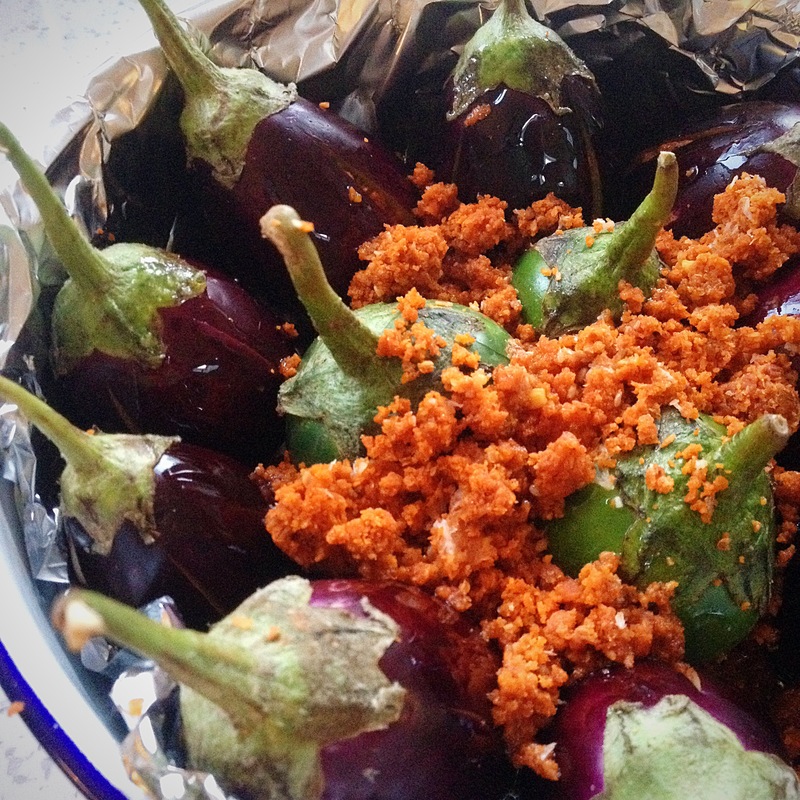 Visit Trupti’s blog for the details. 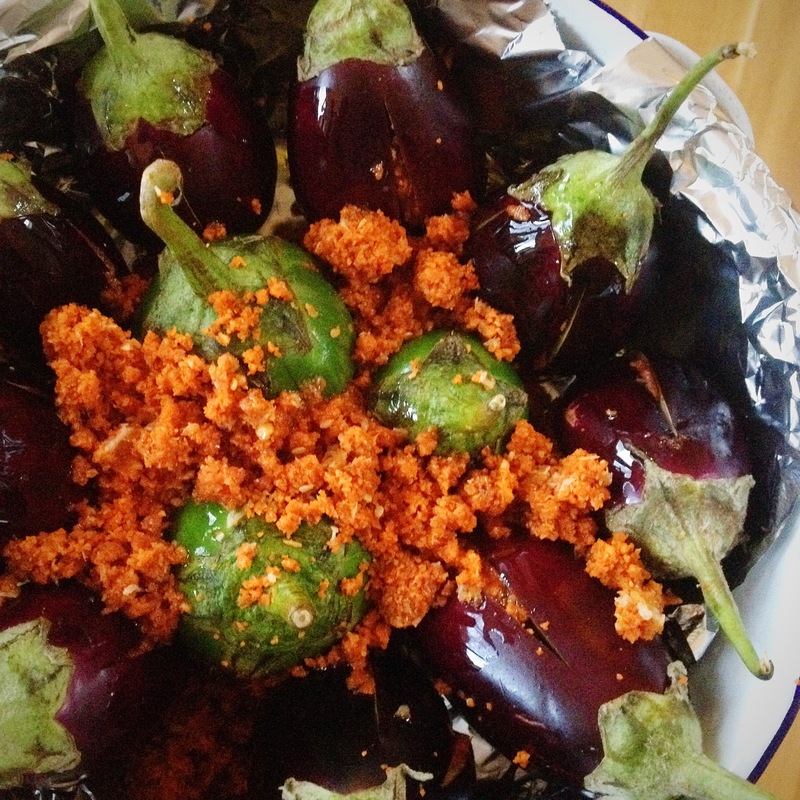 And finally…more stuffed baby aubergines, this time following Prachi’s recipe..I experimented with purple baby aubergines and little green round Thai aubergines..
Pictured here with some of an aubergine quinoa bake I recently devised (more about soon). 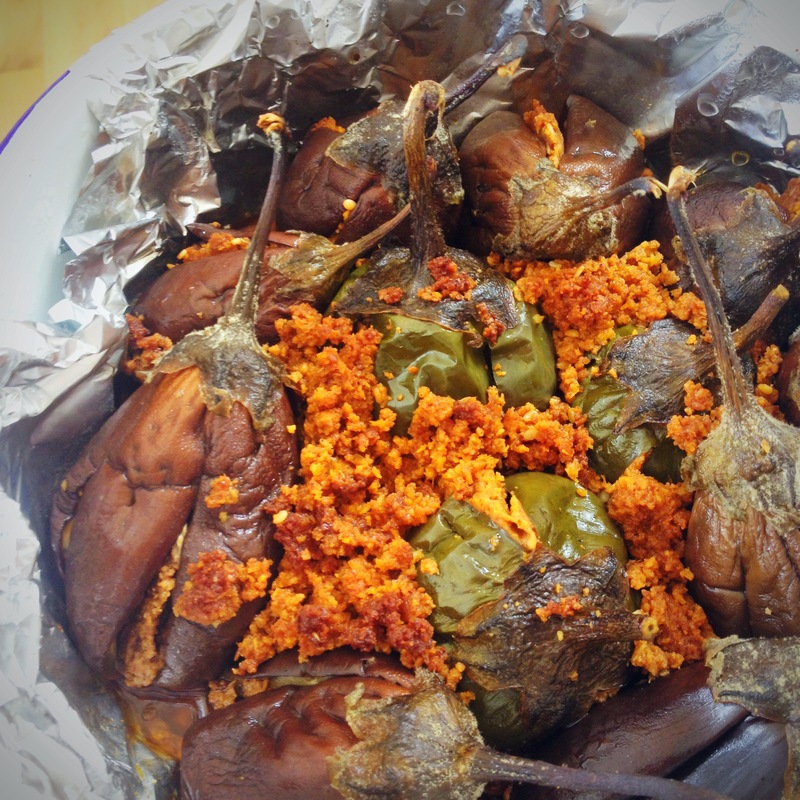 This entry was posted in Aubergine, Cauliflower, Fellow Bloggers, Gluten Free, Healthy, Homous, Indian, Lentils, Lunch, Mezze, Middle Eastern, Vegan, Vegetarian and tagged cooking, recipes on March 13, 2016 by Elaine @ foodbod.